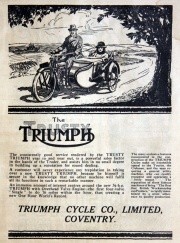 Triumph have been producing motorcycles since 1902. They are, perhaps, the most famous of all British firms and the only major one that is still in production, albeit under a different master and in a new home. 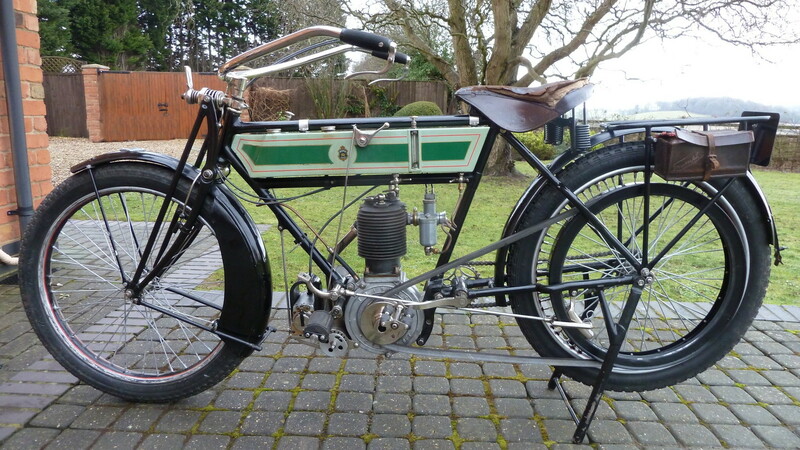 1902 The first machine was produced in Coventry. 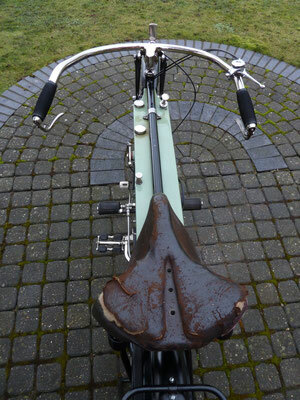 Similar to most others, the Minerva engine hung from the bicycle frame downtube with belt drive. 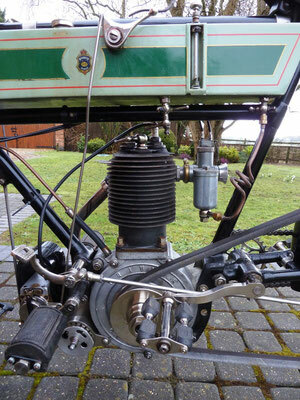 1905 They were now using their own 3hp engine, mounted vertically in the frame. 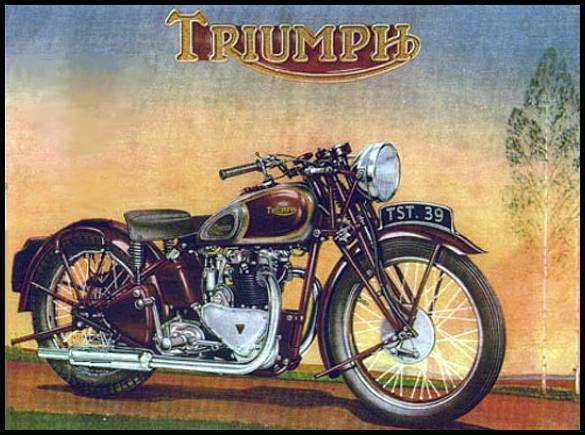 1906 Became a private company. 1906 They brought in the rocking front-fork. 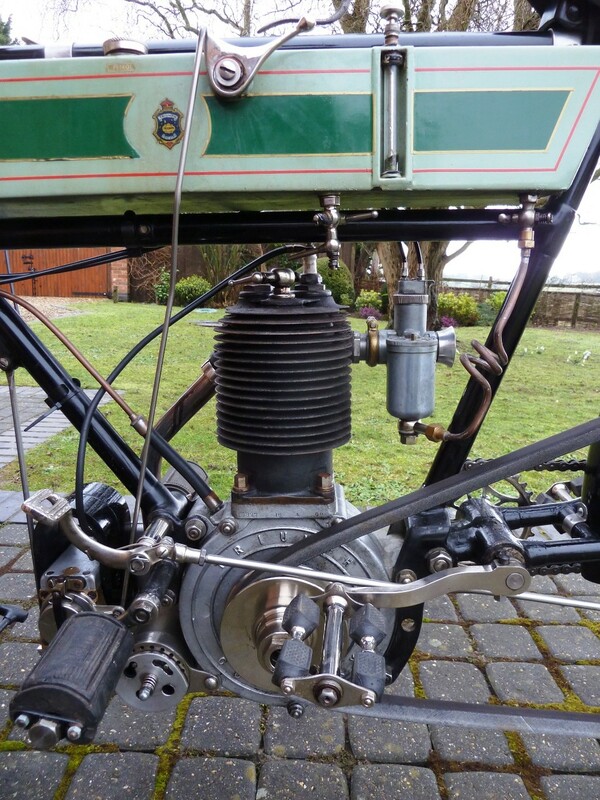 1907-1914 The company kept to one model, steadily developing it, and enlarged the engine to 3.5hp. 1912 Spennell's lists them at Priory st, Coventry (Tel. 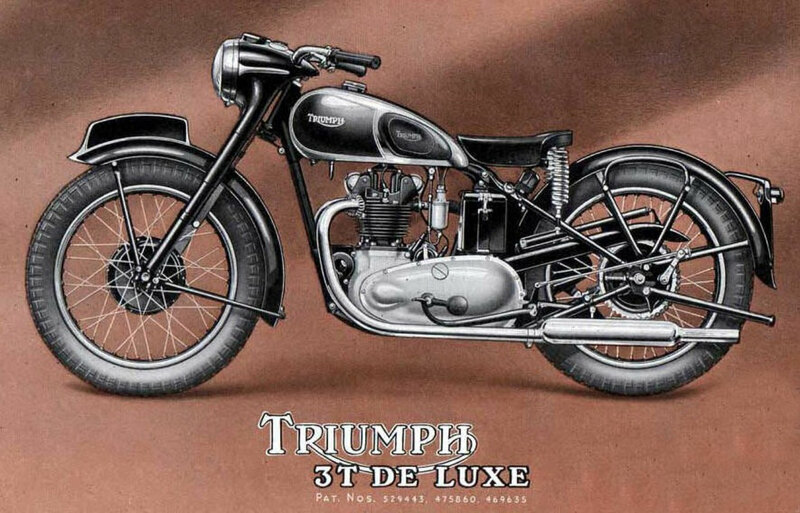 542) and as manufacturers of motorcycles. 1914 The engine was enlarged again - this time to 4hp, and listed with various transmissions. 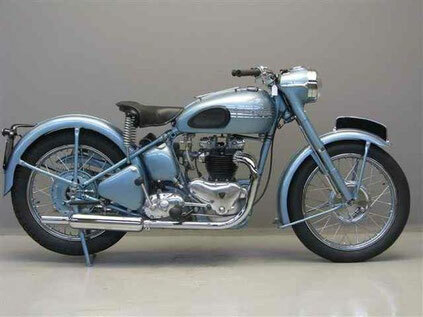 Although it was well-known, the model was very dated. The 225cc Junior arrived, with a two-stroke engine, two speed and belt drive. 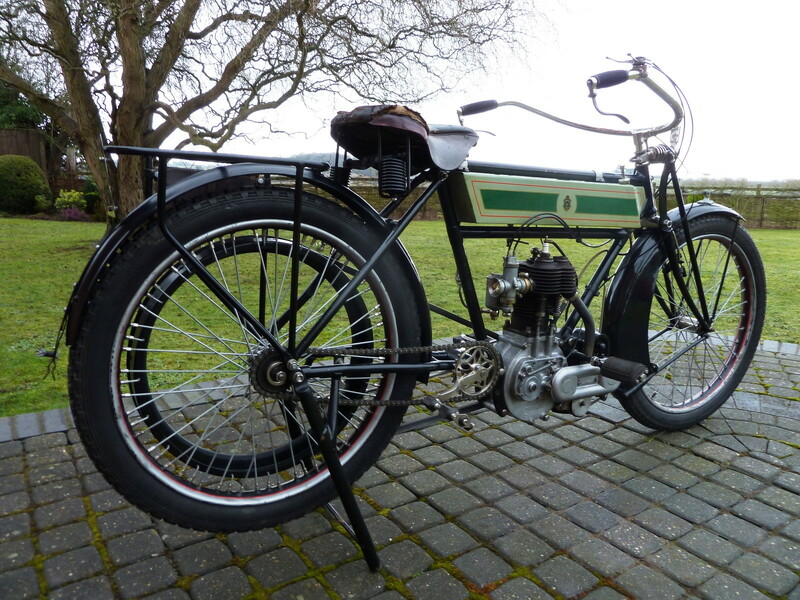 1915 The 550cc model H was introduced, with chain-driven Sturmey-Archer gearbox, but still keeping the belt final-drive. 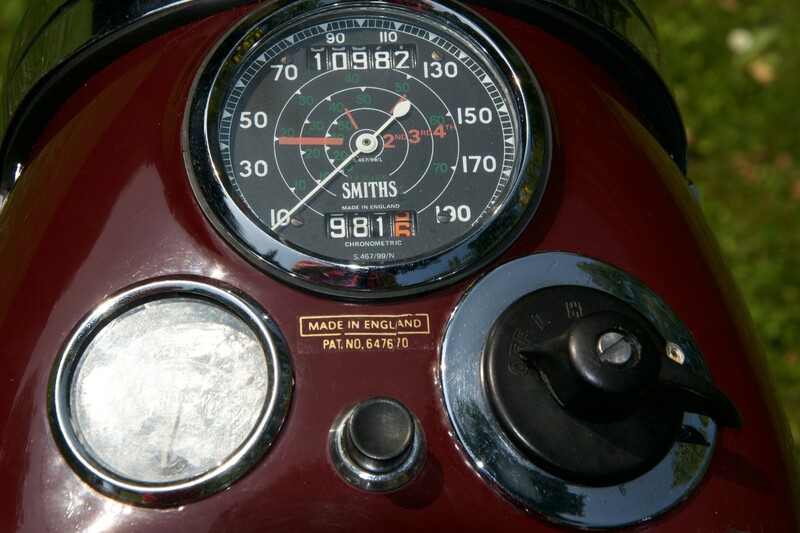 Some 30,000 machines went to the services and performed well. 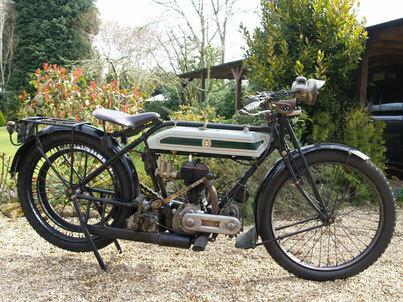 1920 After the end of the Great War, the company continued with the H and the Junior, and added the all-chain-drive SD. 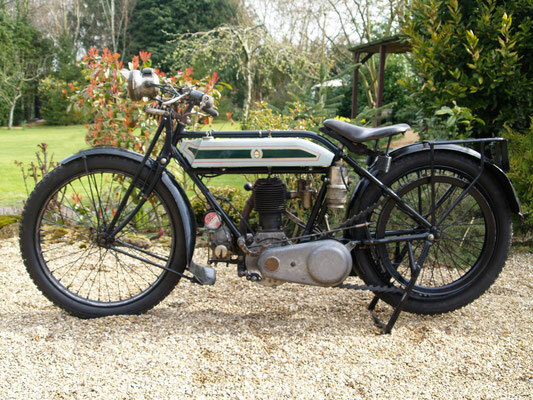 1922 Harry Ricardo produced an engine for their latest motorbike. 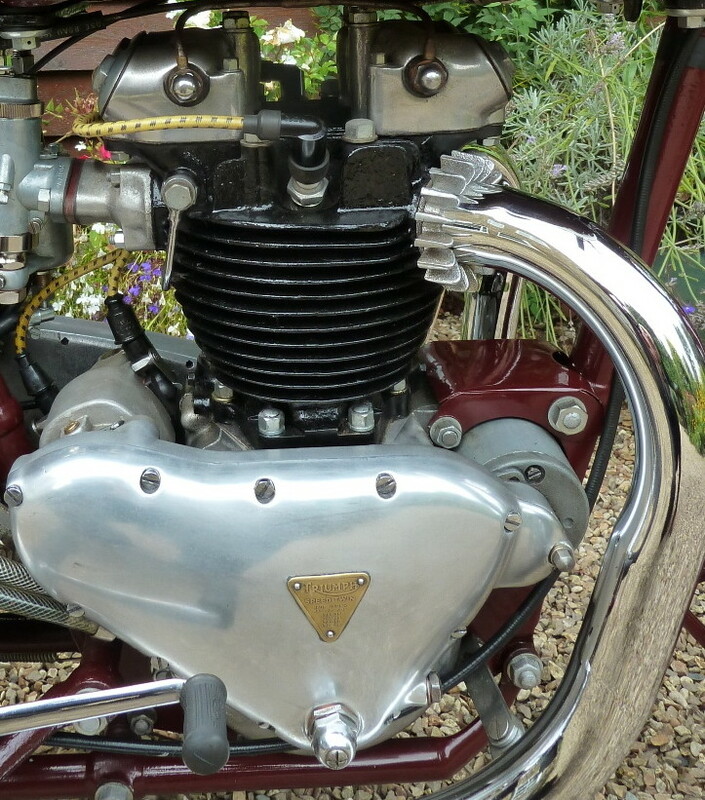 Introduction of the famous 499cc Ricardo model with four overhead-valves in the cylinder head. 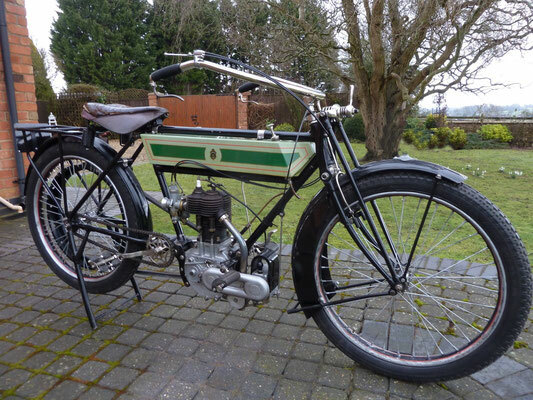 This machine soon became known as the 'Riccy', enjoyed some competition successes and was listed until 1927. 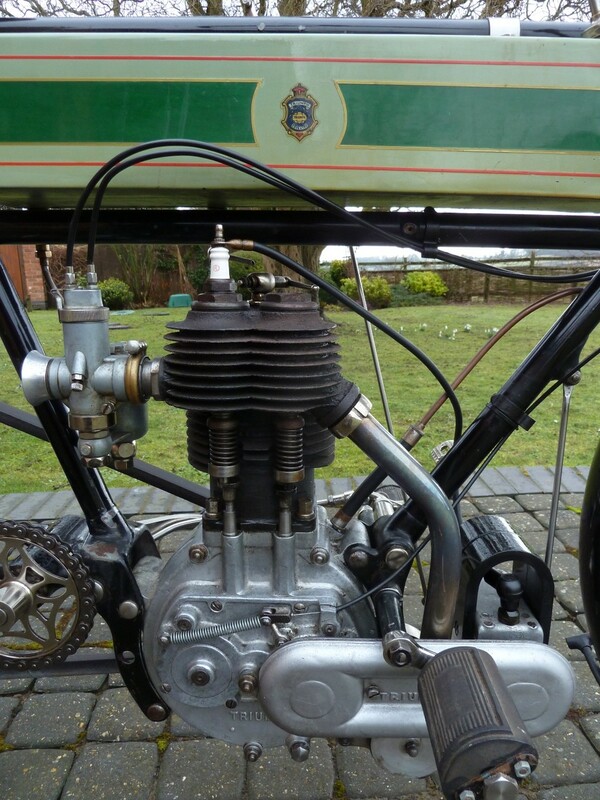 1923 The Junior was enlarged to 249cc and joined by the LS model, with 346cc engine, gear primary-drive, unit construction of its three-speed gearbox and Druid forks with a drum front brake. 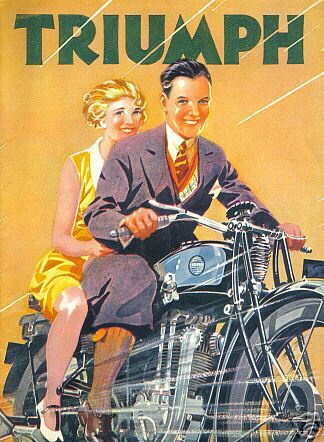 In the same year they also began to produce cars. 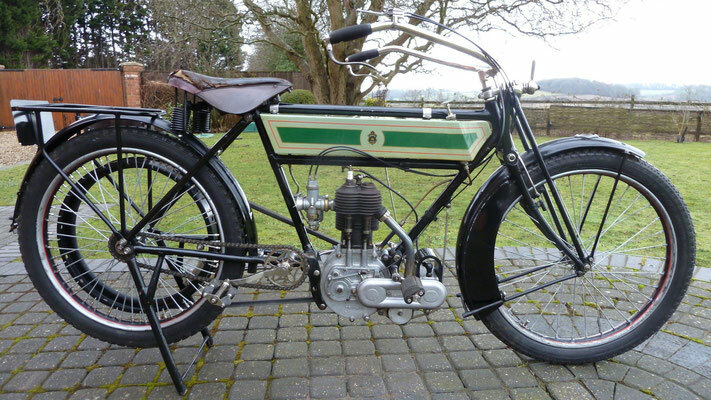 1925 Trade was slow so the company introduced their low-cost 493cc model P, to undercut their rivals, and set up to produce 20,000 machines. 1927 The range was up to eight models, the largest of which was 279cc to keep under a tax limit weight. 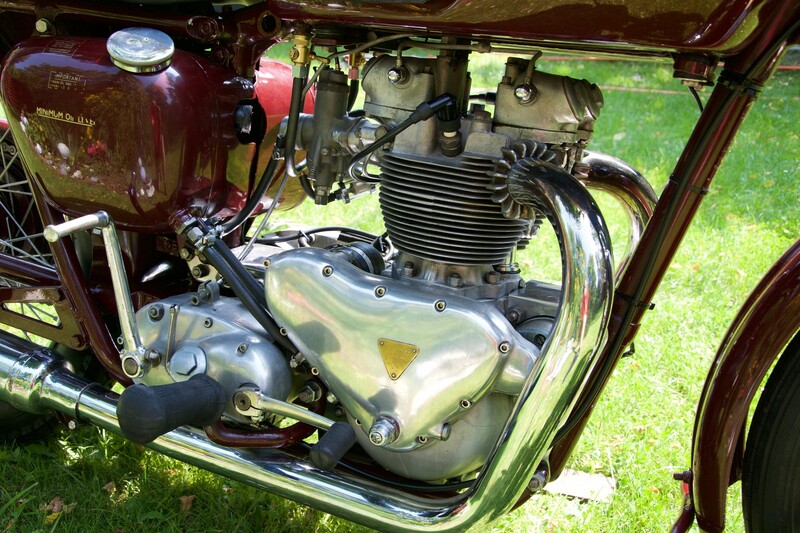 1928 The range was cut when the Super Seven car was introduced. 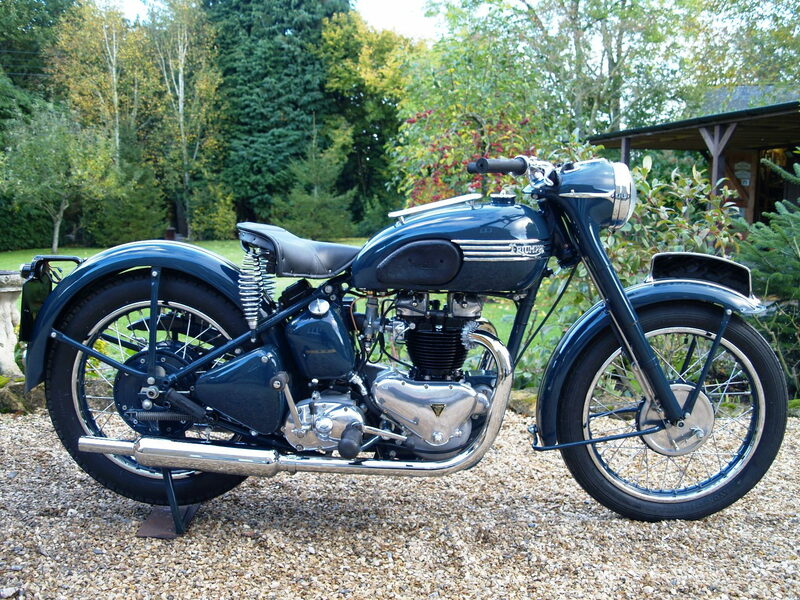 1929 They were back to eight models and all but one was updated with the fitment of a saddle tank. This helped to improve the style and set them up for the coming decade. 1930 The Depression bit hard and the company searched for buyers so they introduced a 174cc two-stroke with two-speed gearbox built in-unit, and a six-model range of singles - all with upright engines and three speeds. 1931 A 249cc ohv single with inclined engine and dry-sump lubrication joined the range. Some machines had the right side enclosed by a panel. 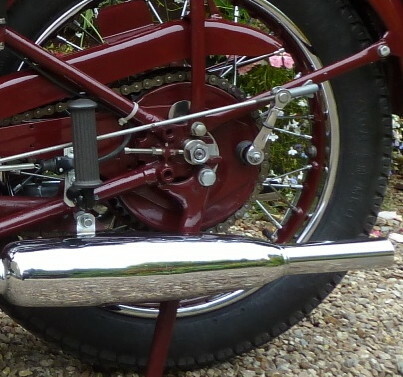 1932 The inclined trend continued, and all but one of the four-strokes were so-styled. 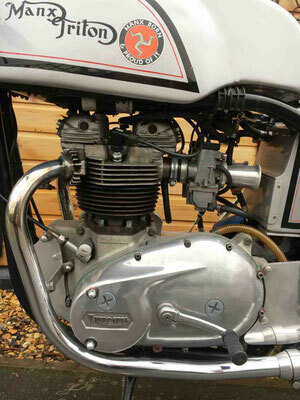 The two-stroke was reduced to 148cc to suit a tax classification. 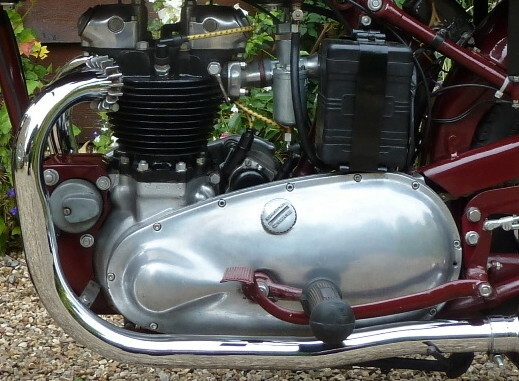 Competition models were added, with high-level exhausts, and later in the year, two further machines appeared - listed as Silent Scouts - based on existing models with engine changes to reduce noise. 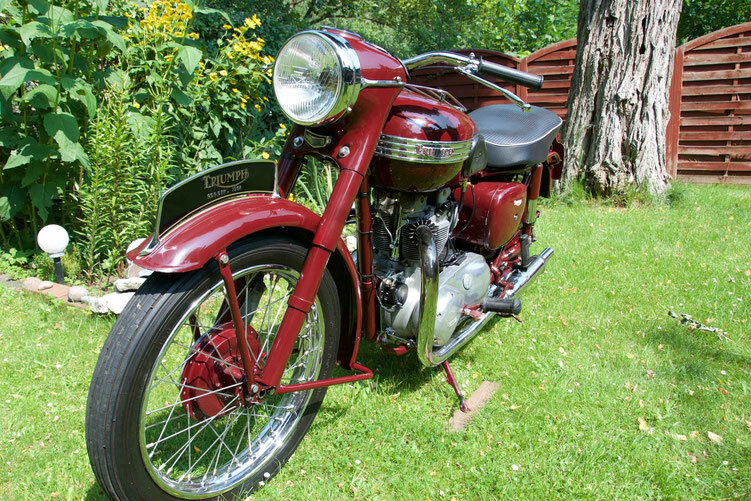 1933 The two-stroke was replaced by a neat 148cc ohv single - the first offered under the Gloria label. 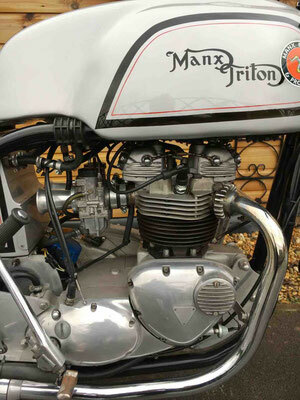 In July, came the announcement of a machine with a 747cc vertical-twin engine, designed by Val Page (previously of Ariel). 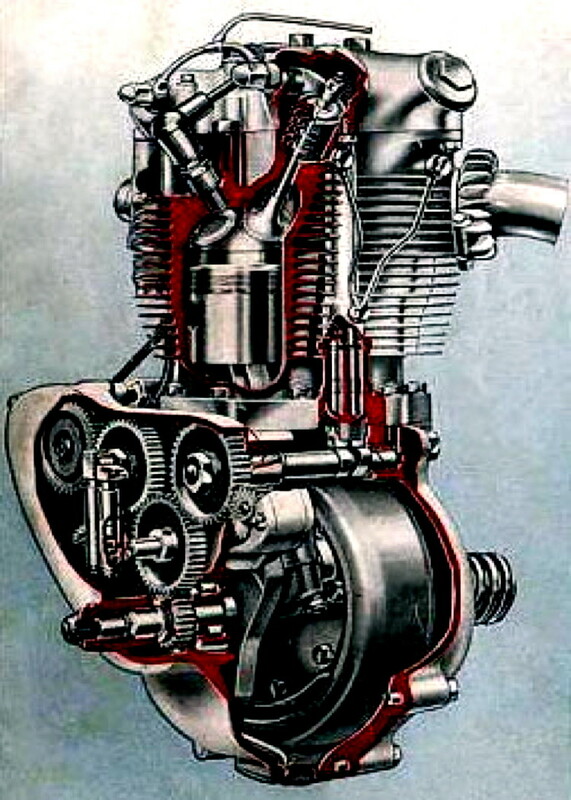 1934 An even longer list appeared for that year, with a series of machines with new vertical engines designed by Page. 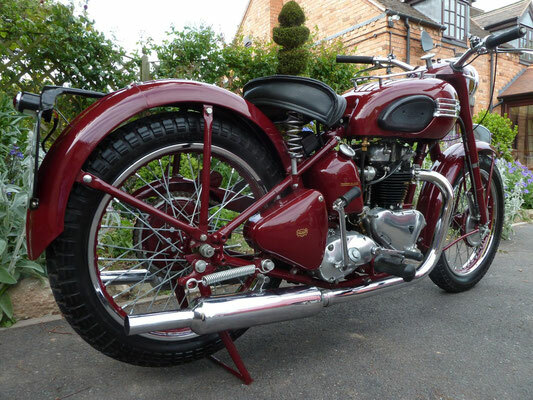 These were simple, straightforward, easy to make and maintain, but somewhat lacking in style. 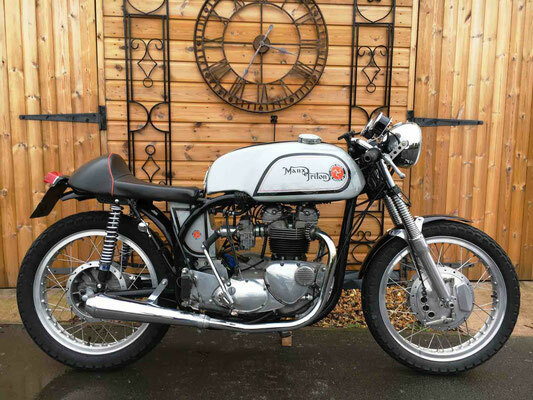 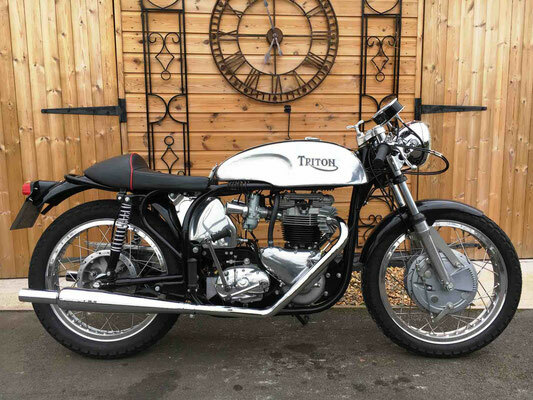 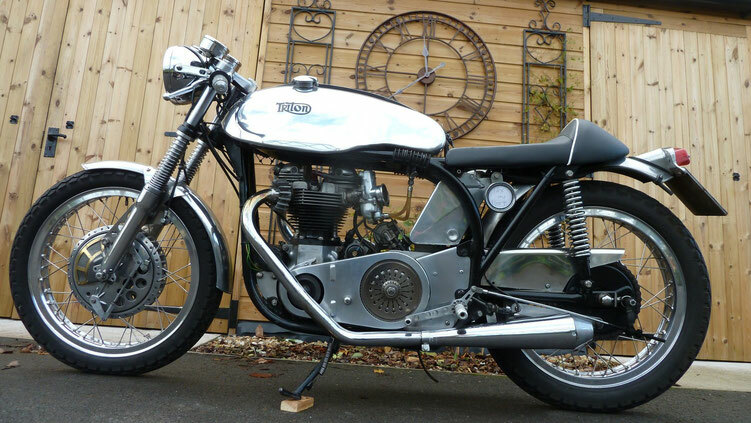 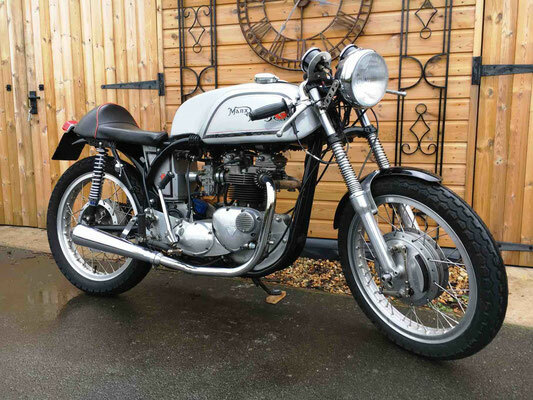 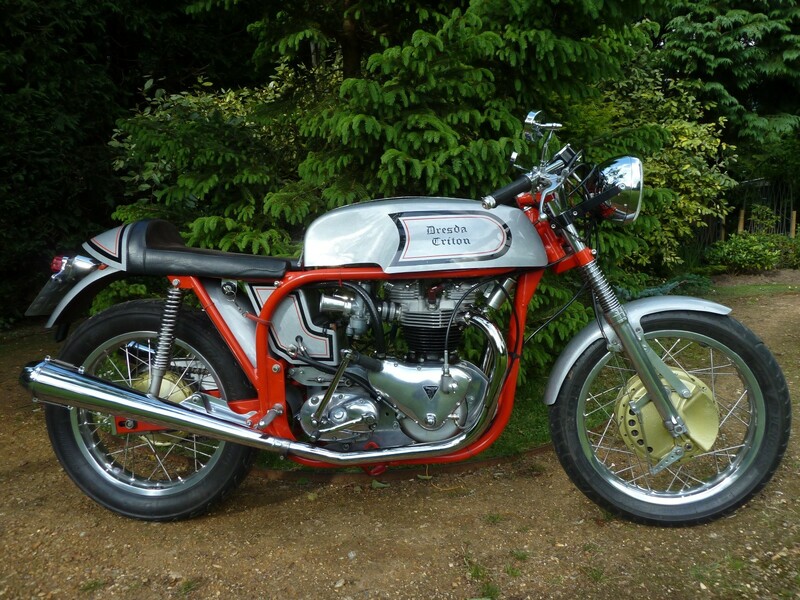 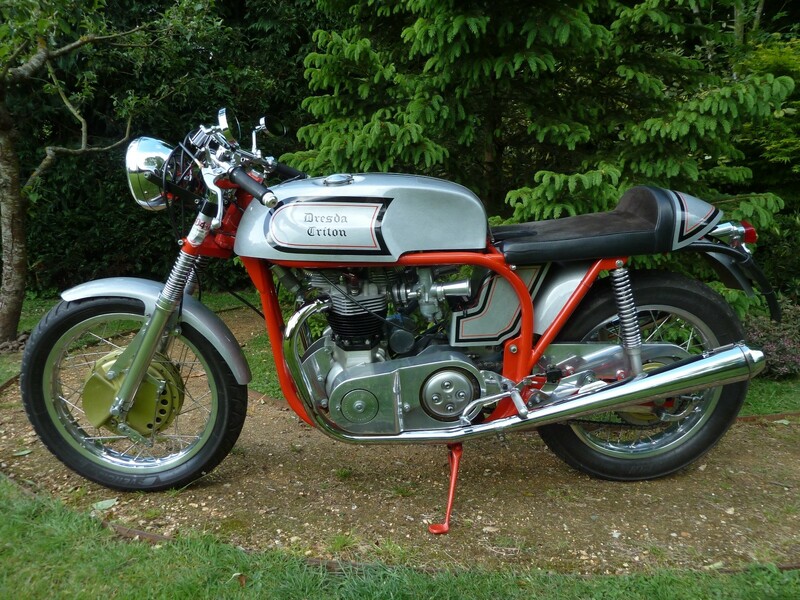 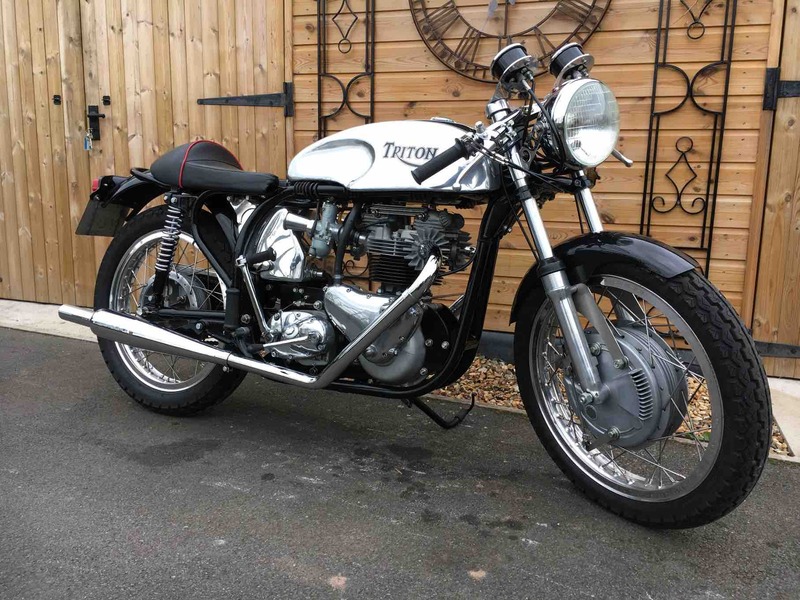 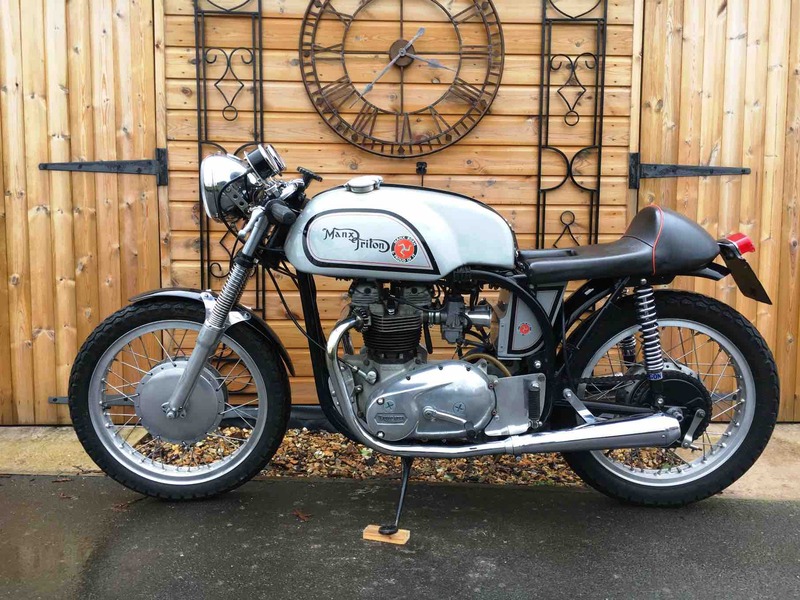 A road-racing 493cc model was added and the firm ran three in the TT, but all retired. 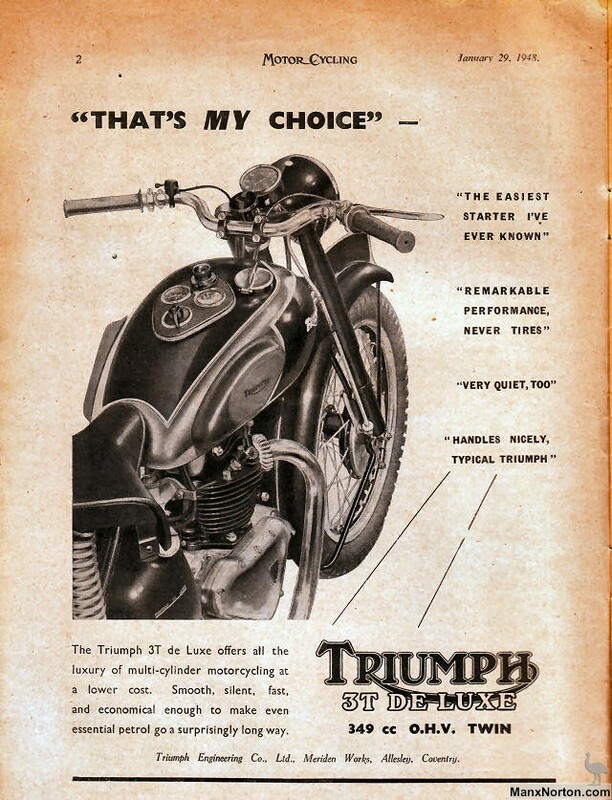 1935 The range was slimmed down to a range of new singles and a twin, and all the older models went. 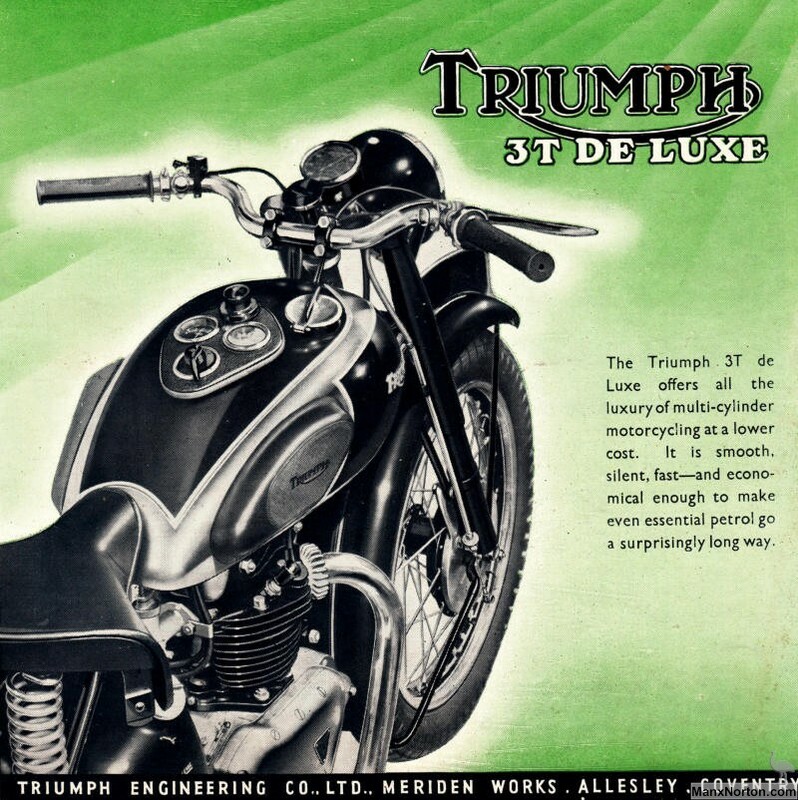 1936 The company's two components became separate companies. 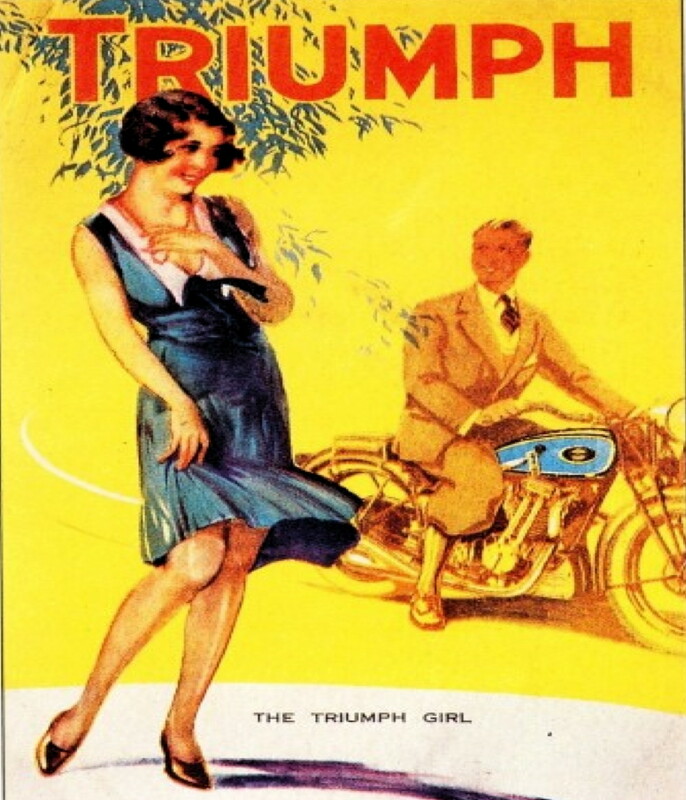 Triumph always struggled to make a profit from cars, and after going bankrupt in 1939, was acquired by Standard. The motorcycle operations fared better, having been acquired in 1936 by Jack Sangster, who also owned the rival Ariel motorcycle company. 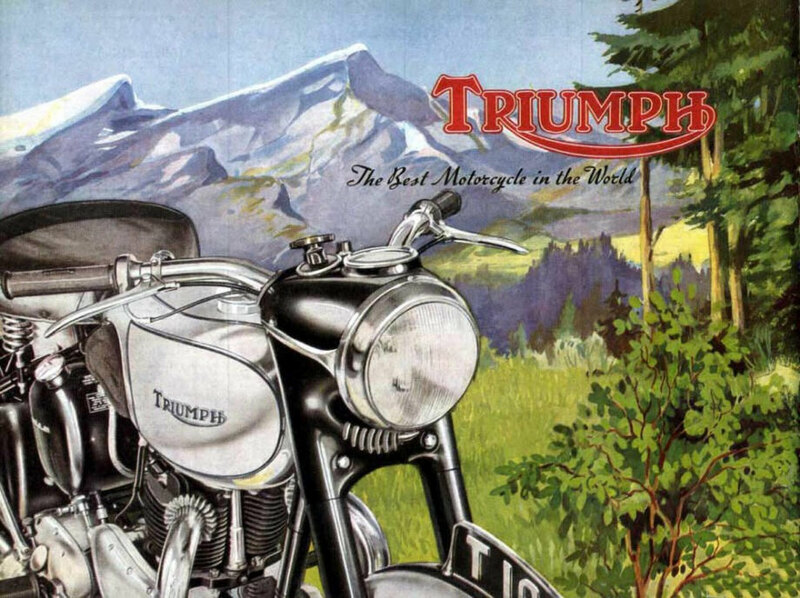 That same year, the company began its first exports to the United States, which quickly grew into the company's single most important market. 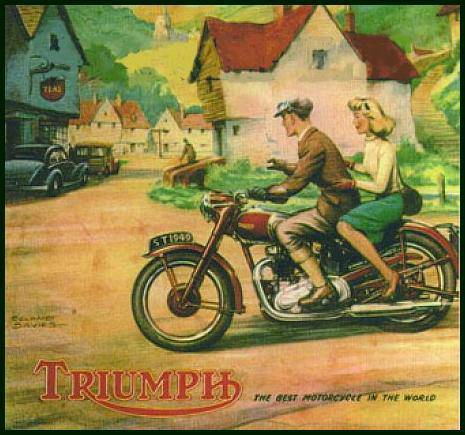 Sangster formed the Triumph Engineering Co Ltd largely led by ex-Ariel employees, including Edward Turner who designed the 500cc 5T Speedtwin - released in September 1937, and the basis for all Triumphs until the 1990s. In 1939 the 500 cc T100 Tiger, capable of 100 mph, was released, and then the war began. 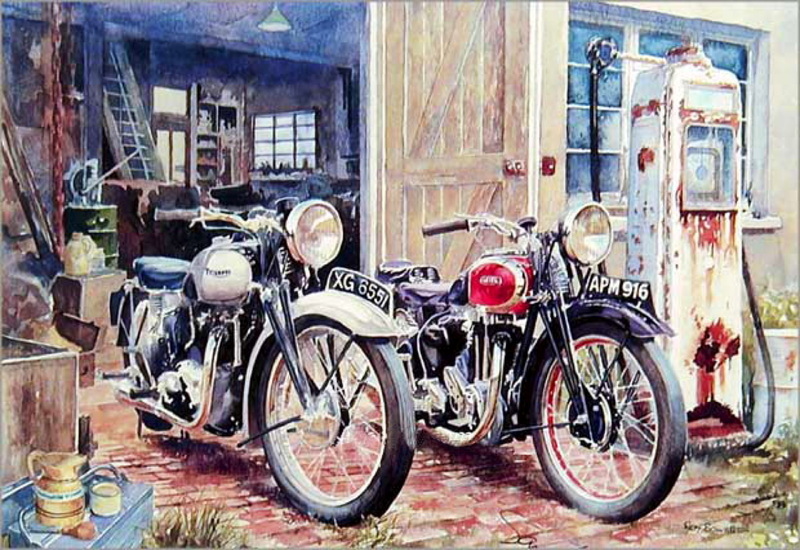 WW2 Motorcycles were produced at Coventry until World War II. 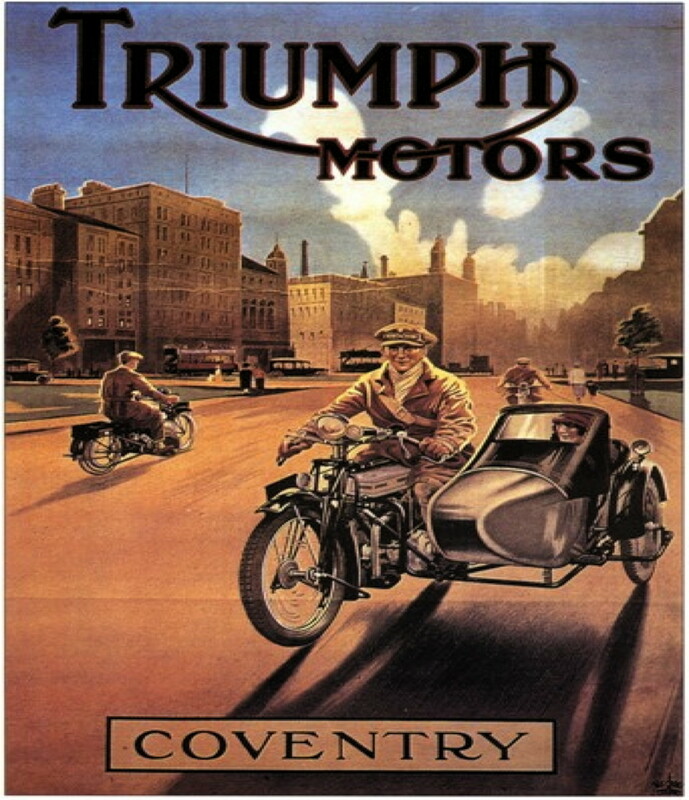 The town of Coventry was virtually destroyed in The Blitz (September 7, 1940 to May, 1941). 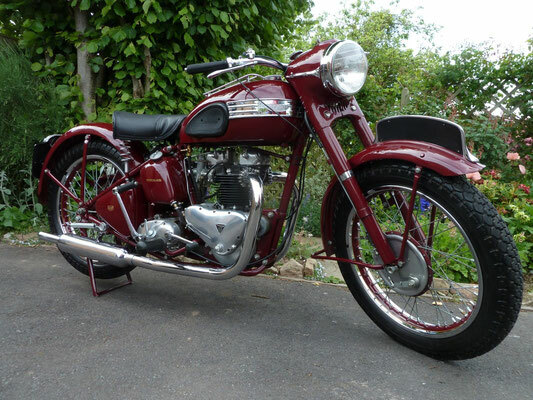 Tooling and machinery was recovered from the site of the devastation and production restarted at the new plant at Meriden, West Midlands in 1942. One of Triumph's wartime products is of particular interest: portable generators for the RAF, using 500cc Triumph engines with alloy barrels. 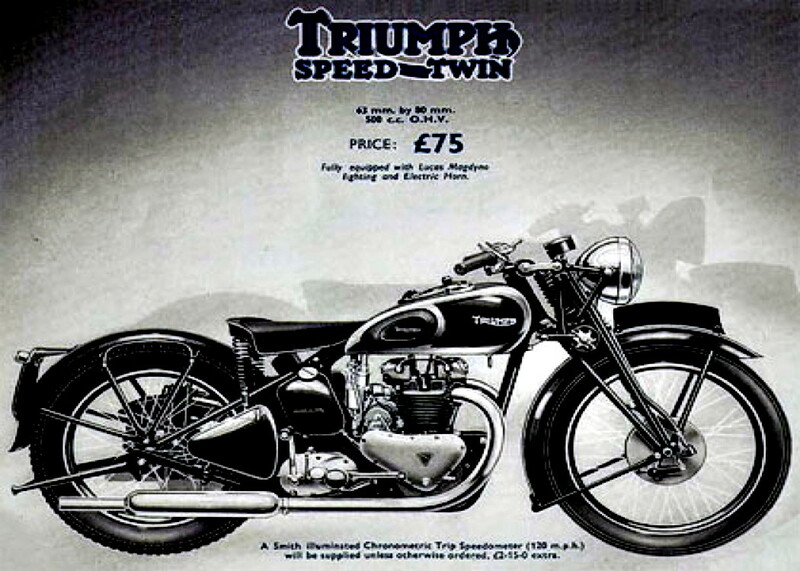 The Speed Twin designed by Edward Turner before the war was produced in large numbers after the war. 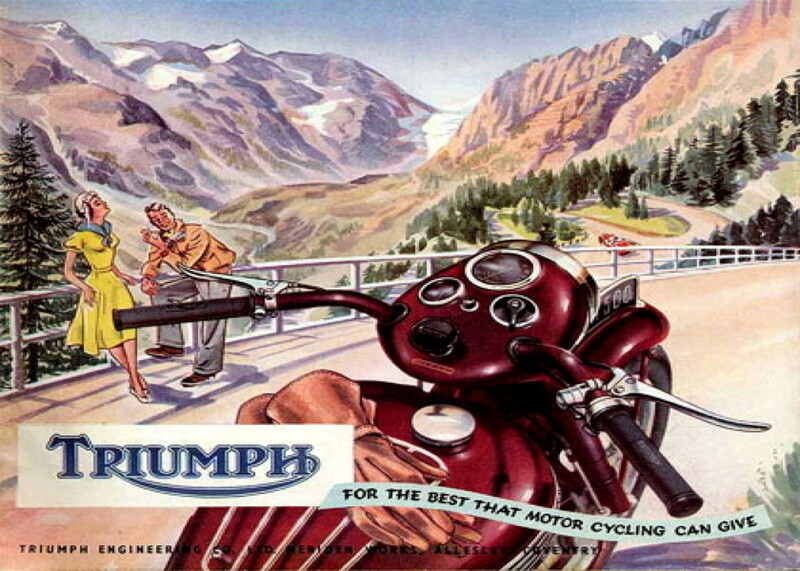 Efforts to settle the lend-lease debts caused nearly 70% of Triumph's post war production to be shipped to the United States. 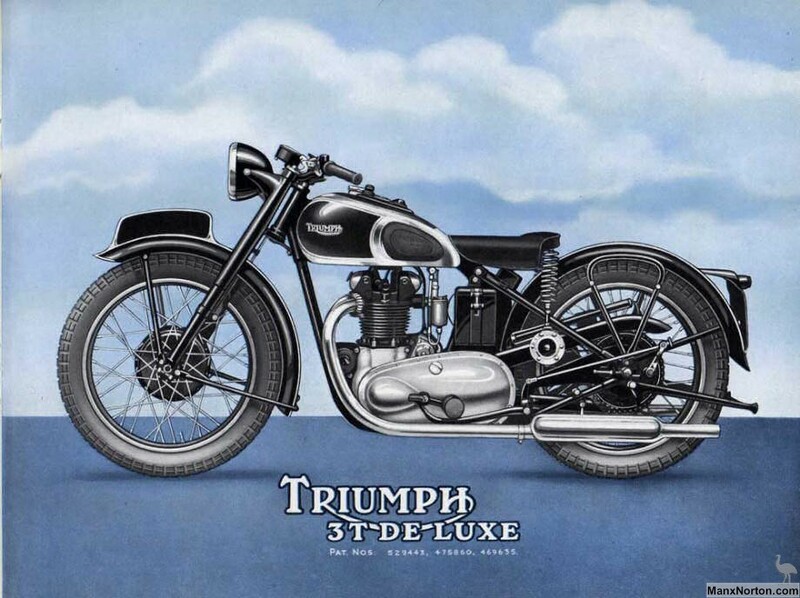 Post War, the Speed Twin and Tiger 100 were available with a sprung rear hub, Triumph's first attempt at a rear suspension. 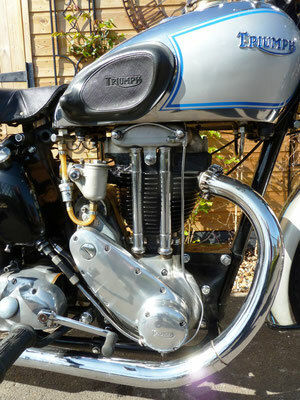 Privateers put wartime surplus alloy barrels on their Tiger 100 racers, and won races, inspiring the Triumph GP model. 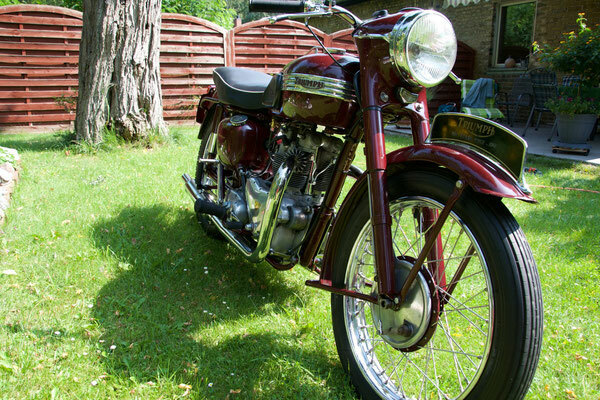 By 1950 the supply of barrels was exhausted, and the GP model was dropped. 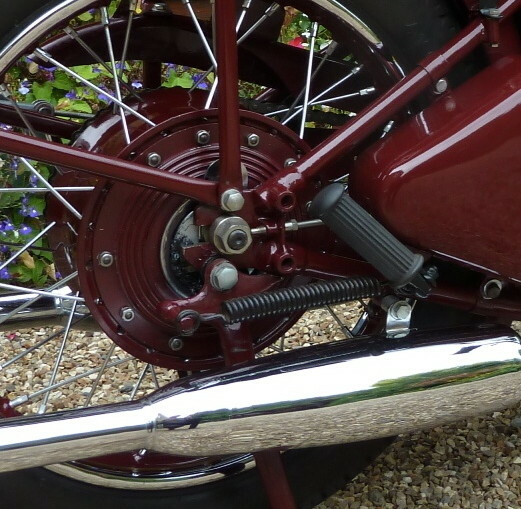 The American market applied considerable pressure to reverse this backward step, and a die cast close finned alloy barrel was made available. The alloy head made the valve noise more obvious, so ramp type cams were introduced for alloy head models to reduce the noise. 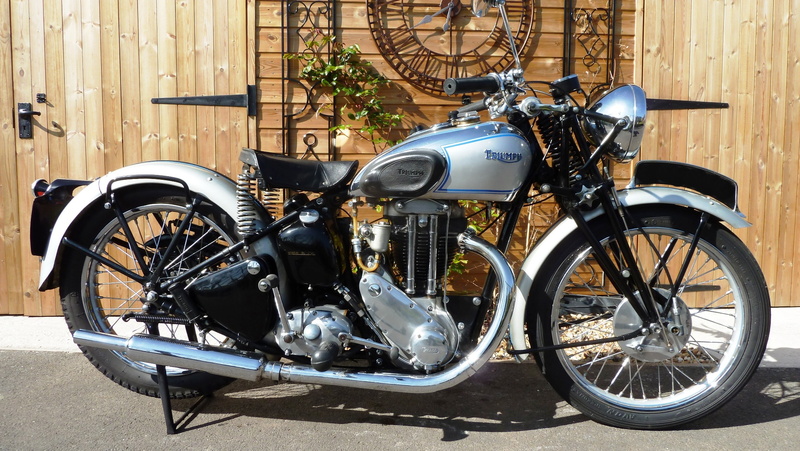 1948 Another motorcycle based on the wartime generator engine was the 499cc TR5 Trophy Twin, also introduced at the 1948 Motor Cycle Show. 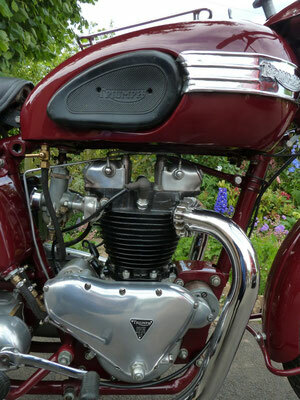 It used a single carburettor, low compression version of the Grand Prix engine. Britain won the prestigious 1948 International Six Days Trial. 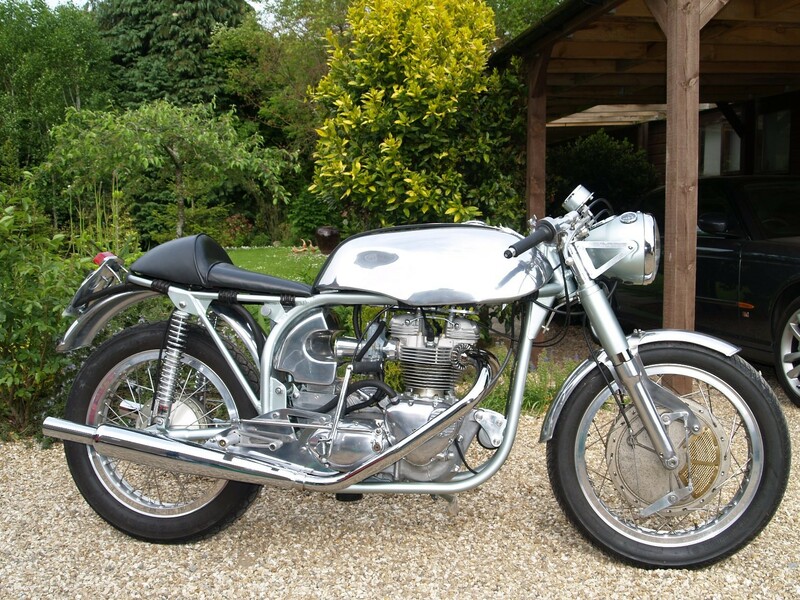 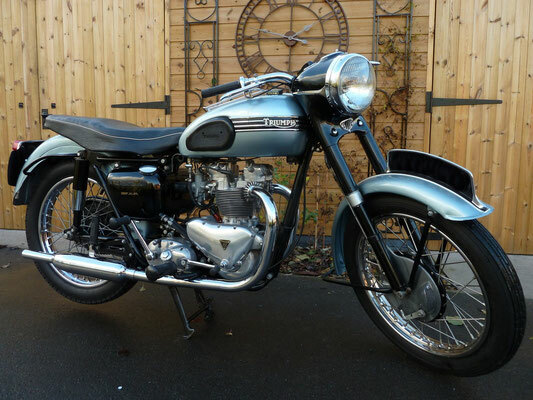 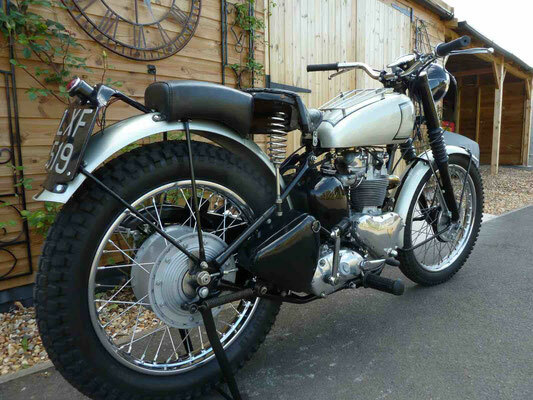 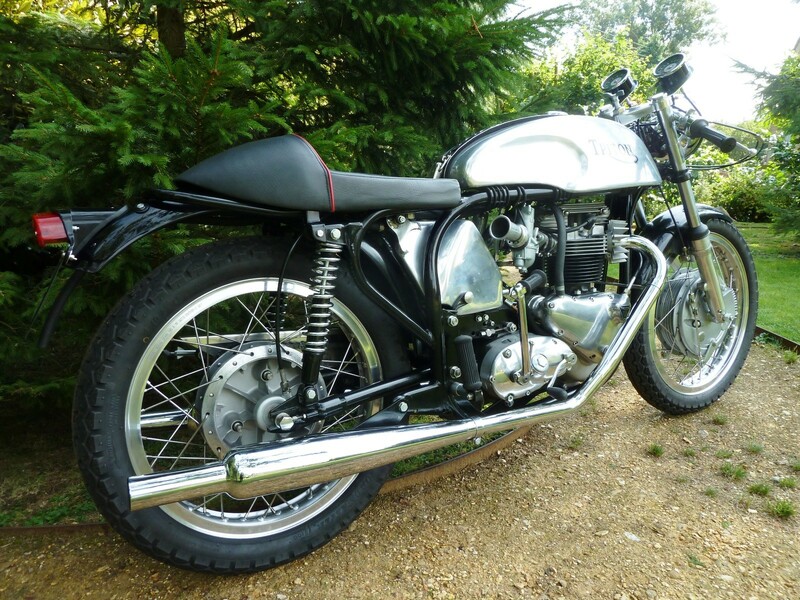 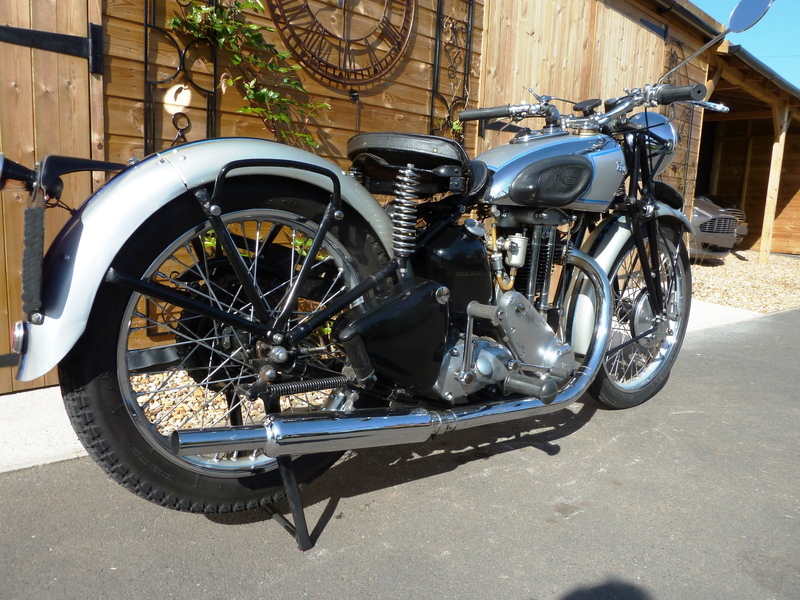 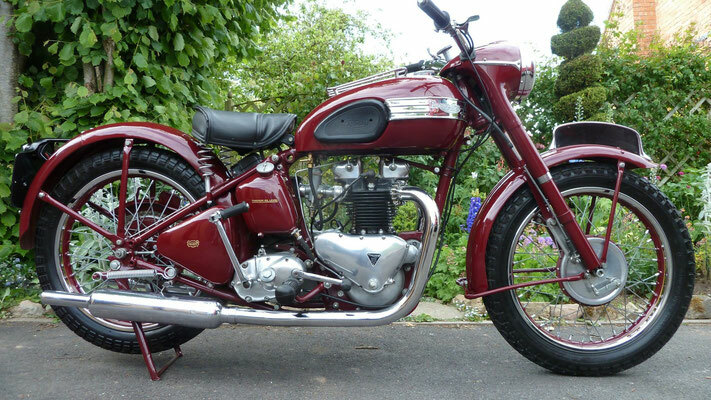 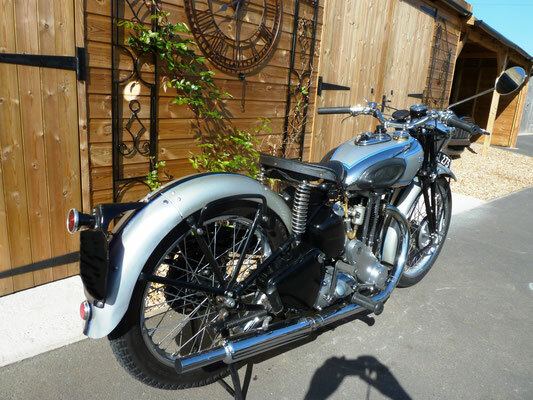 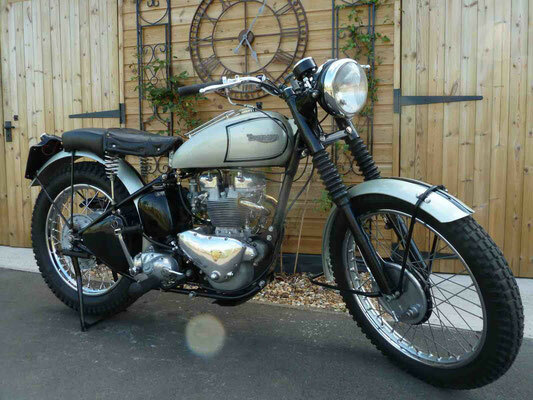 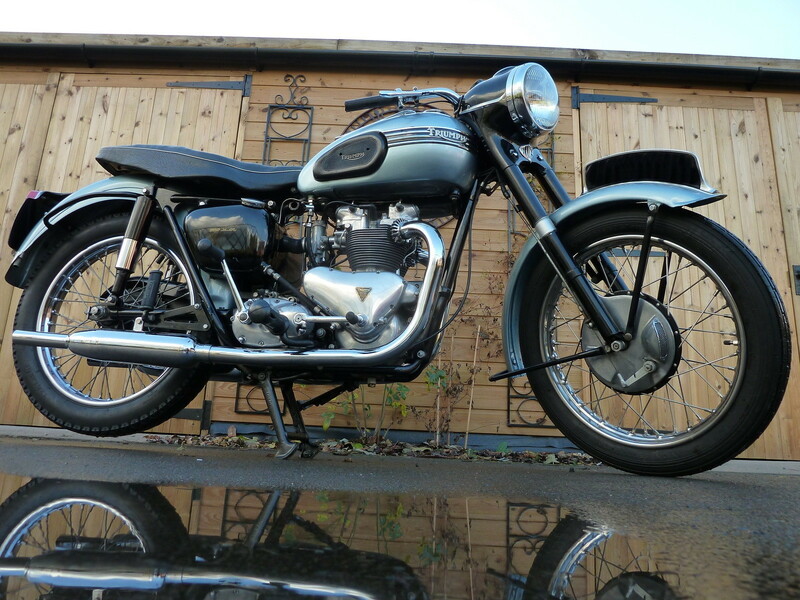 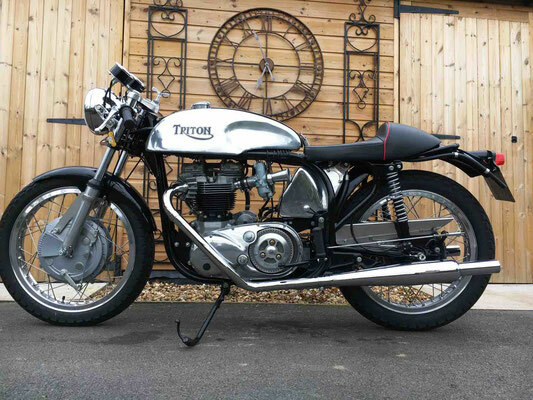 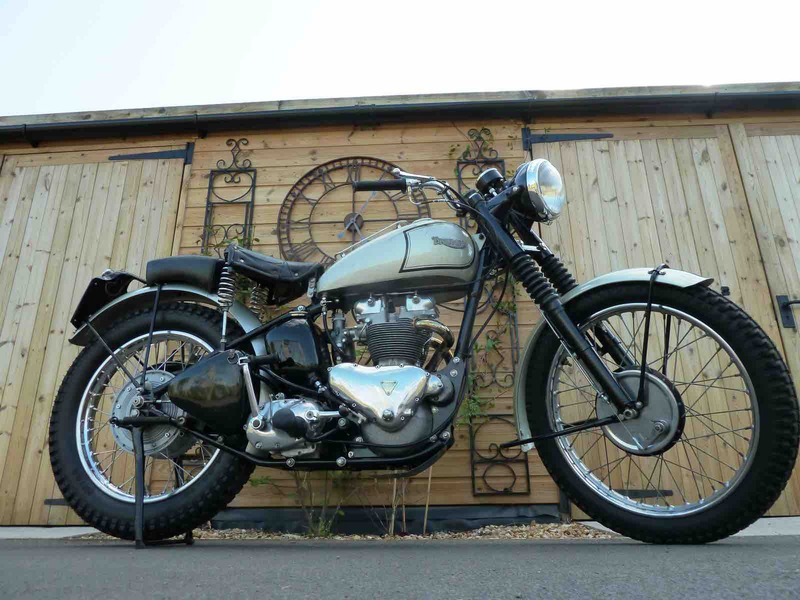 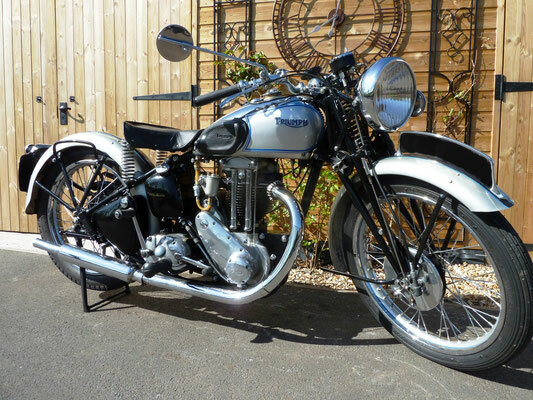 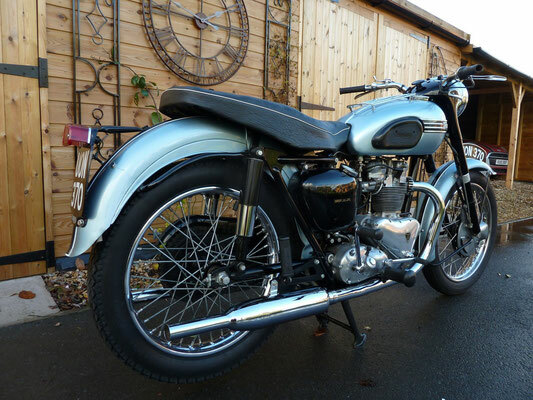 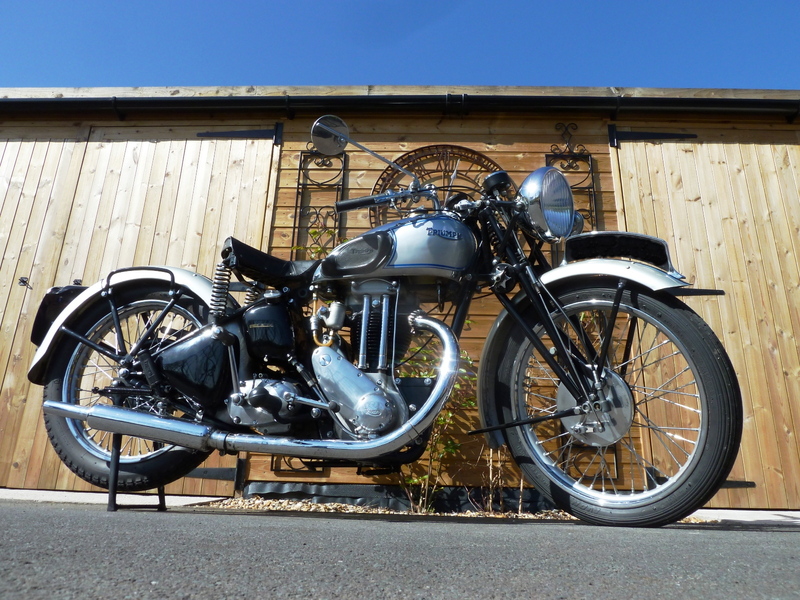 Of all the post war Triumph twins the 3T is undoubtedly the rarest model, only built from 1946 - 1951. Due to the small capacity and low build numbers there are but a few of these machines left and only a handful are known to be in America. 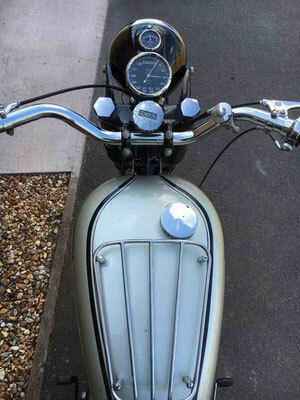 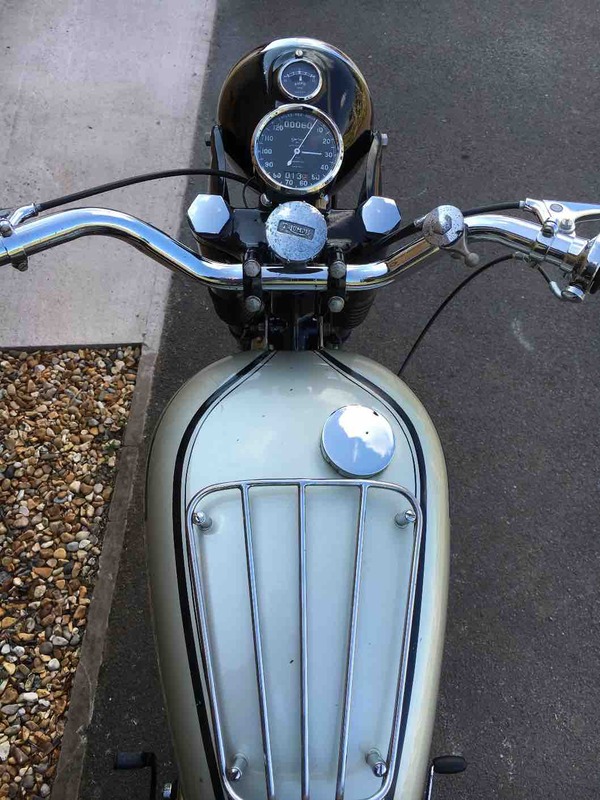 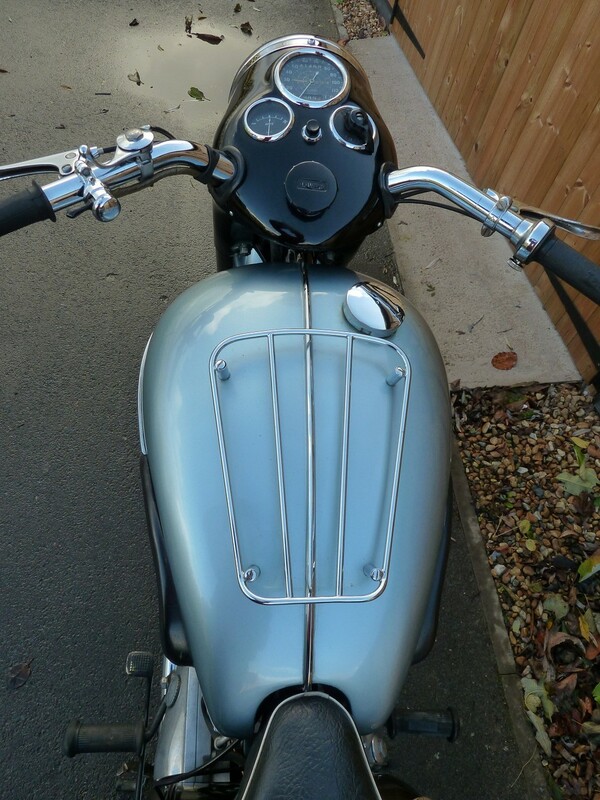 1948 was to be the last year of the panel tank models, the iconic Triumph “Nacelle” being introduced in 1949. 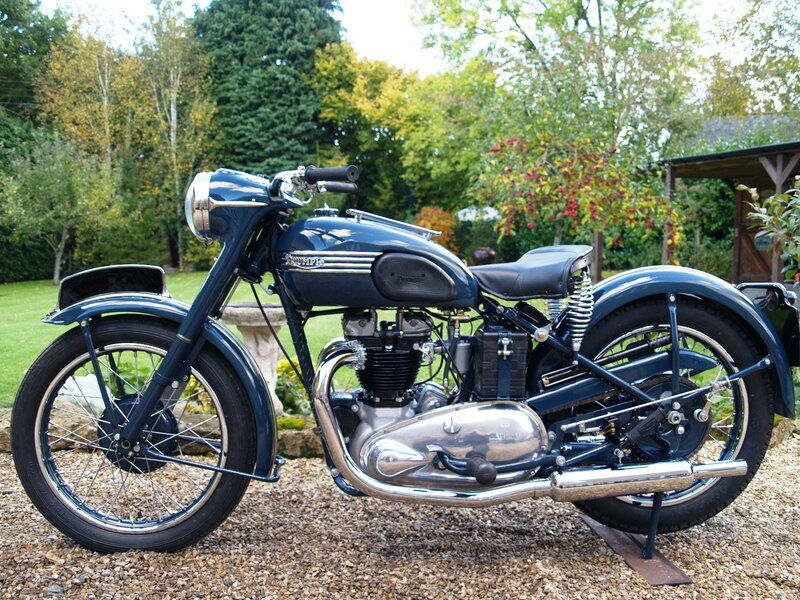 Triumph's first 350cc vertical twin had been built for military purposes in wartime, and would form the basis for a civilian version when hostilities ceased. 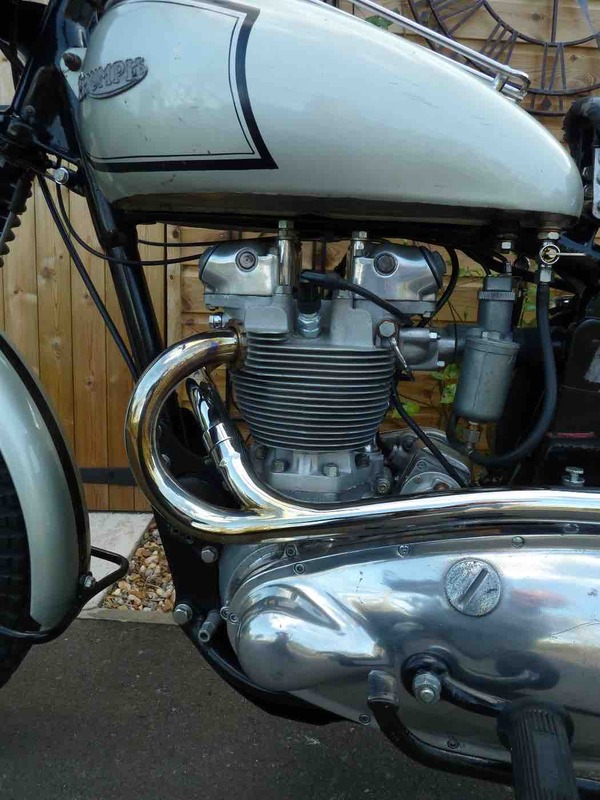 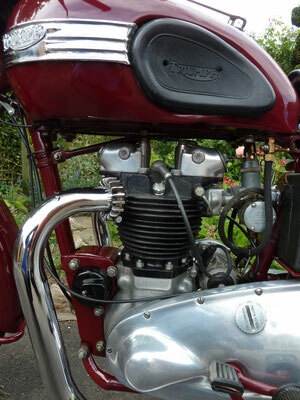 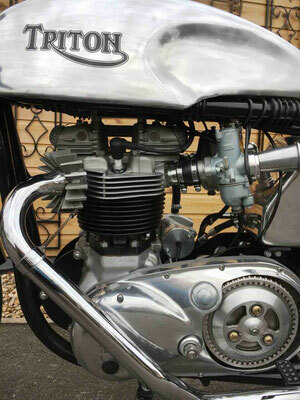 The basic engine design followed that laid down pre-war by Edward Turner for the trend-setting Speed Twin, but featured rocker boxes incorporated into the cylinder head casting and a built-up crankshaft with one piece connecting rods like the military 3TW. 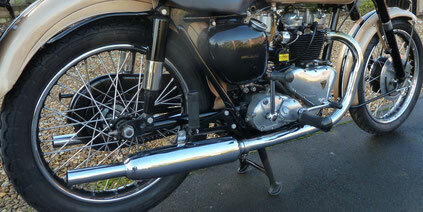 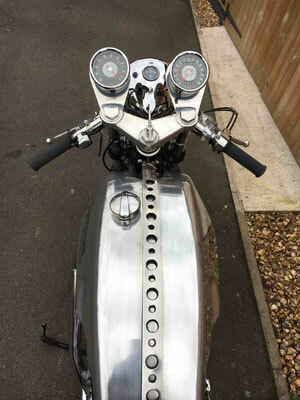 The running gear was essentially that of the Speed Twin and featured Triumph's new telescopic front fork. 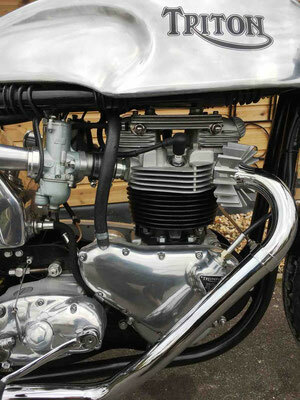 Lower geared than its 500cc sibling, the 3T was nevertheless capable of reaching 75mph and could return around 80mpg. 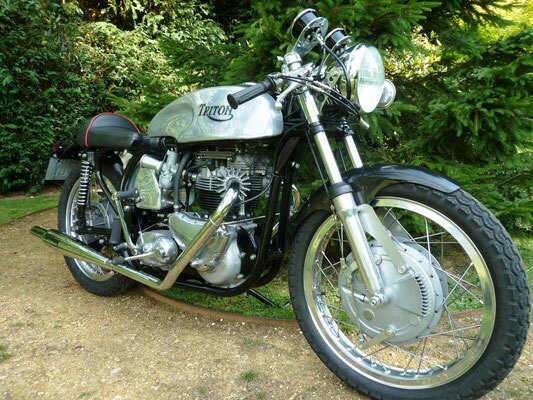 Unlike the later unitary construction 3TA 350, the 3T possessed a measure of the low-down 'grunt' associated with Triumph's larger vertical twins and as a result is arguably a much more pleasant and characterful machine to ride. The Triumph works team had finished unpenalised. 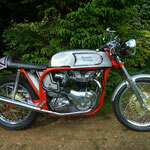 One team member, Allan Jefferies, had been riding what amounted to a prototype version. 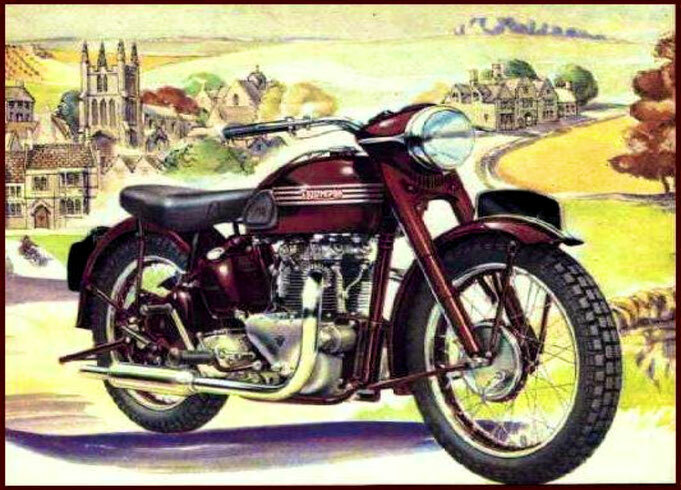 To satisfy the American appetite for motorcycles suited to long distance riding, Turner built a 650 cc version of the Speed Twin design. 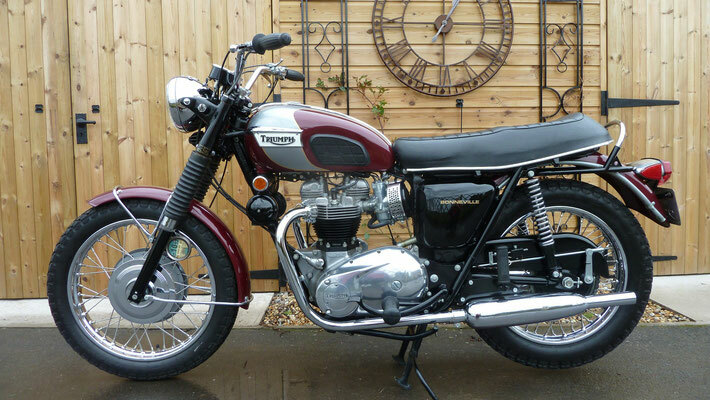 The new bike was named the Thunderbird (A name Triumph would later license to the Ford Motor Company for use on a car). Only one year after the Thunderbird was introduced a hot rodder in Southern California mated the 650 Thunderbird with a twin carb head originally intended for GP racing and named the new creation the Wonderbird. 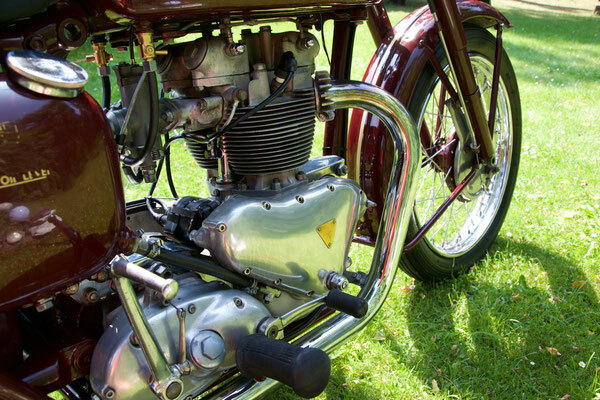 That 650 cc motor, designed in 1939, held the world's absolute speed record for motorcycles from 1955 until 1970. 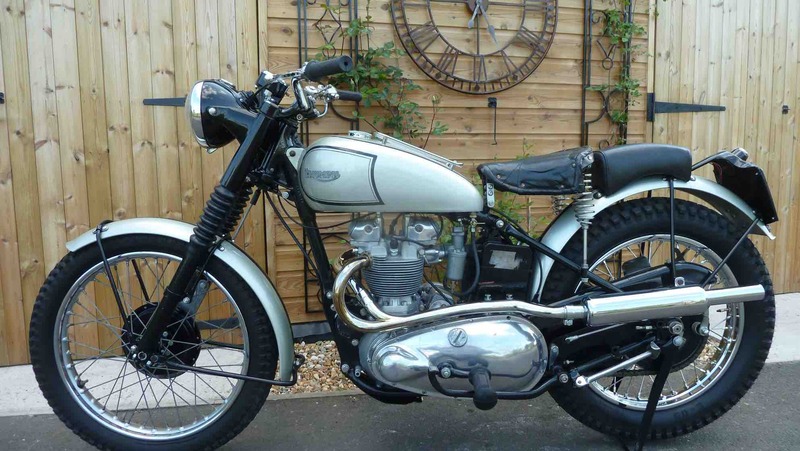 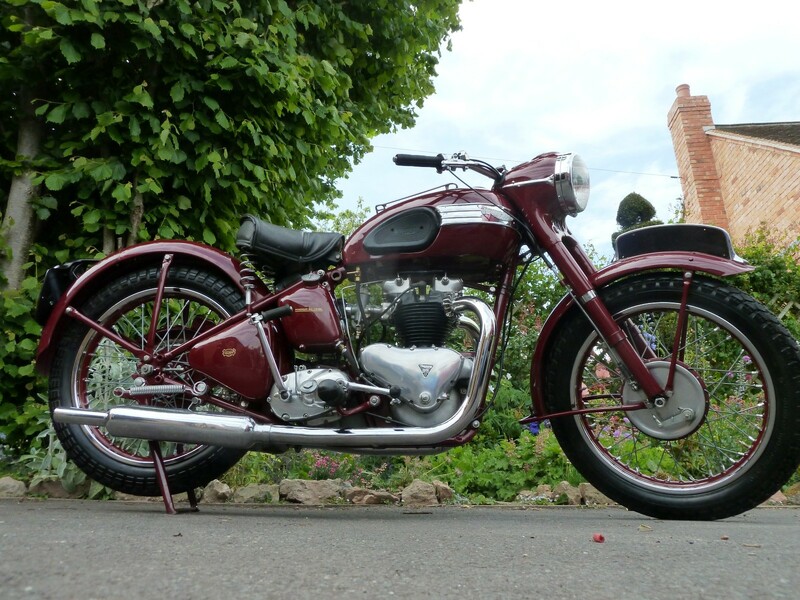 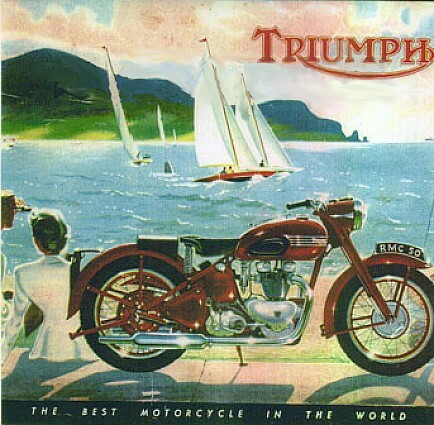 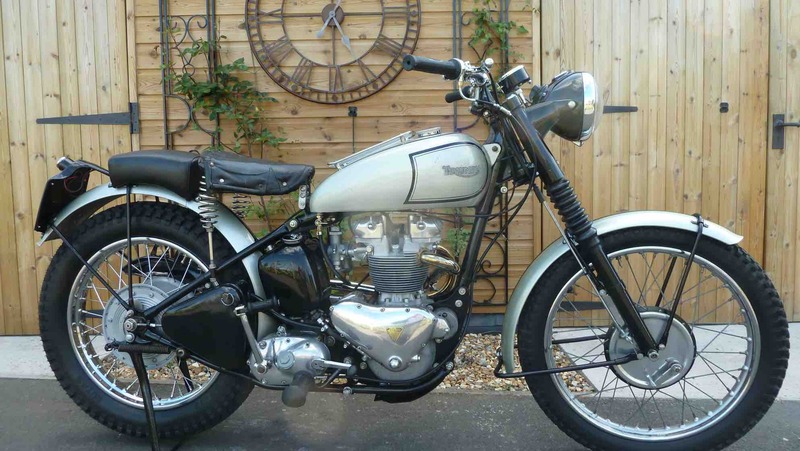 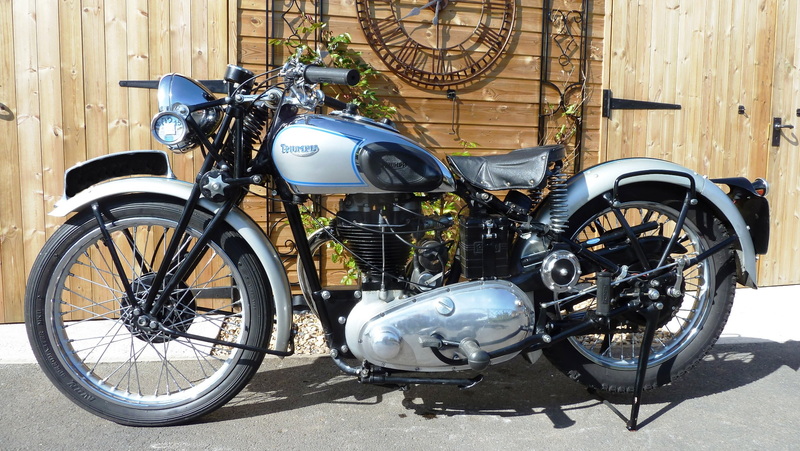 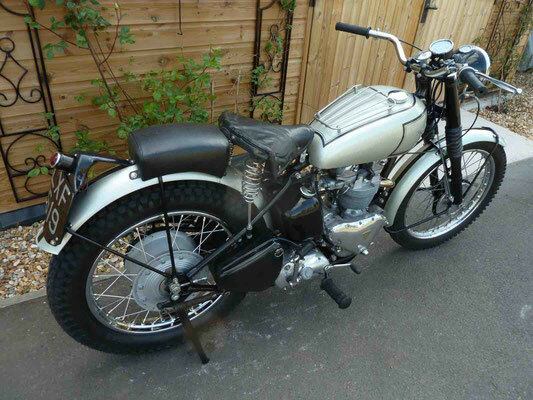 1951 The Triumph motorcycle concern was sold to their rivals BSA by Sangster in 1951. 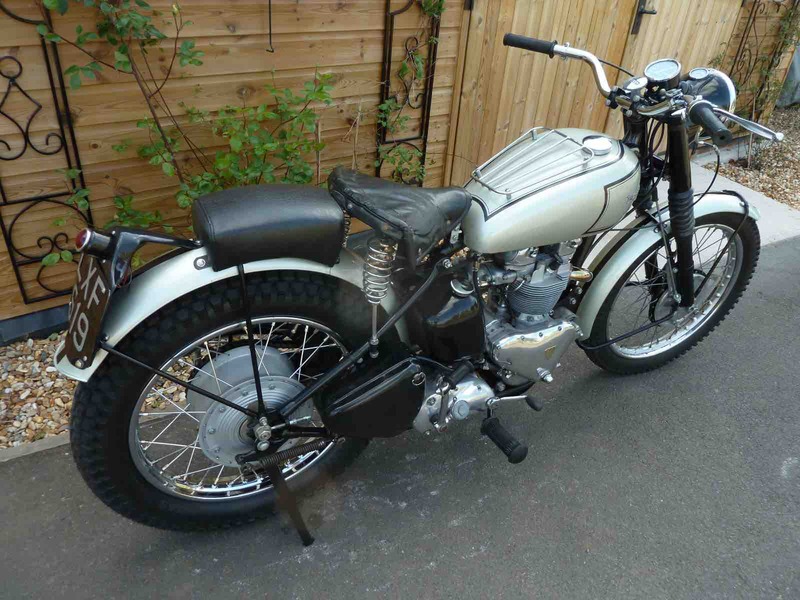 This sale included Sangster becoming a member of the BSA board. 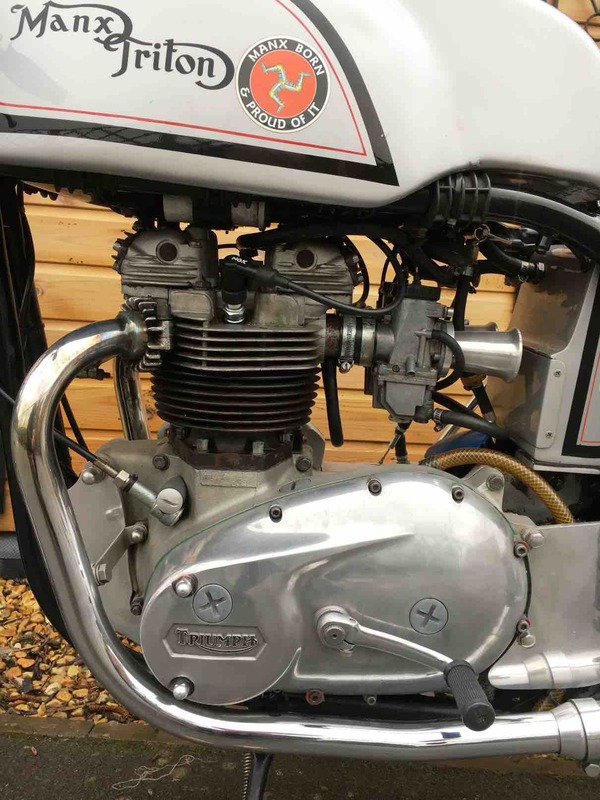 Sangster was to rise to the position of Chairman of the BSA Group in 1956.
alloy head 650cc Tiger 110, eclipsing the 500cc Tiger 100 as the performance model. 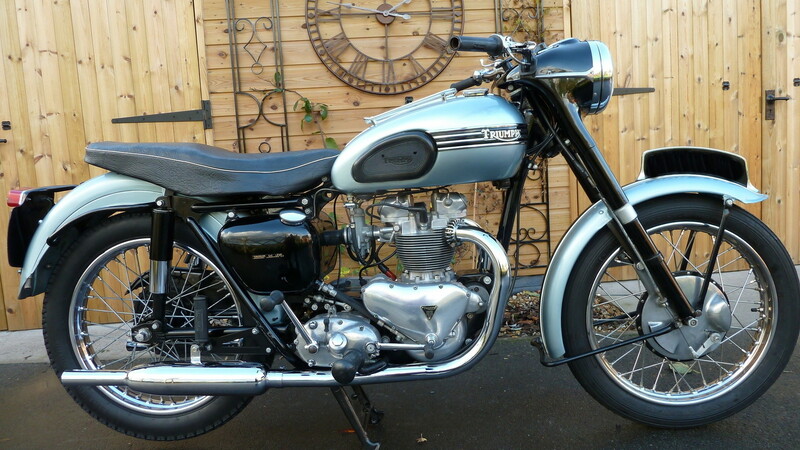 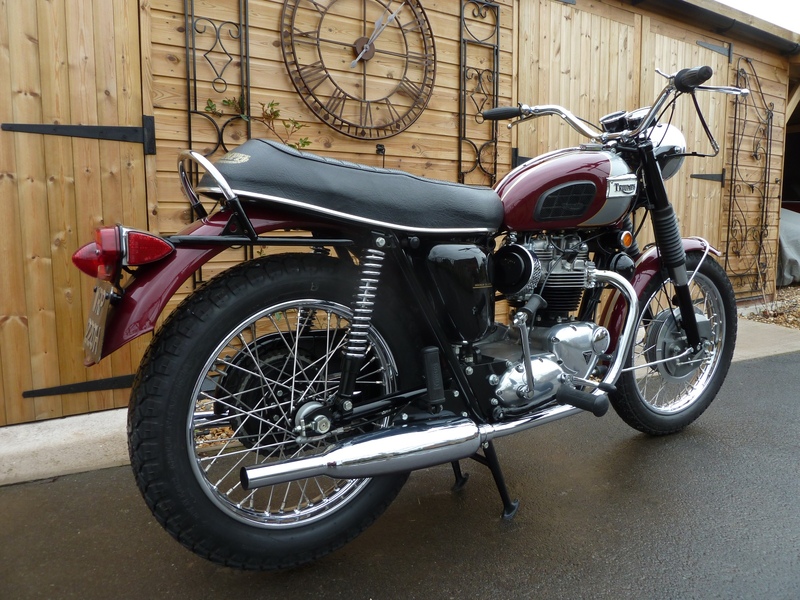 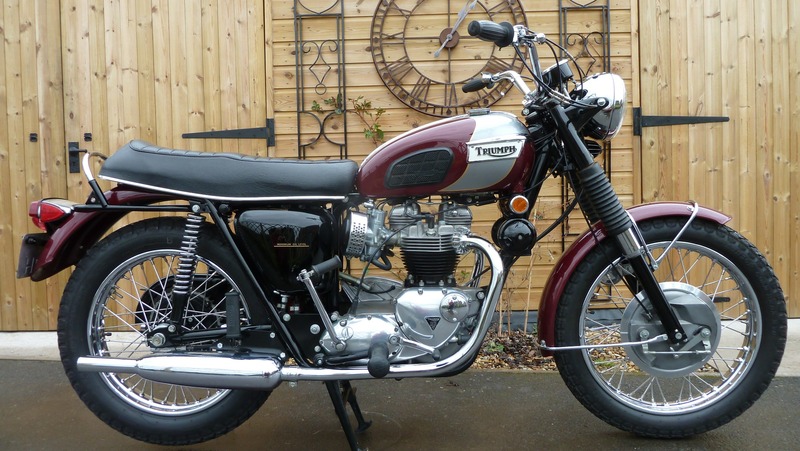 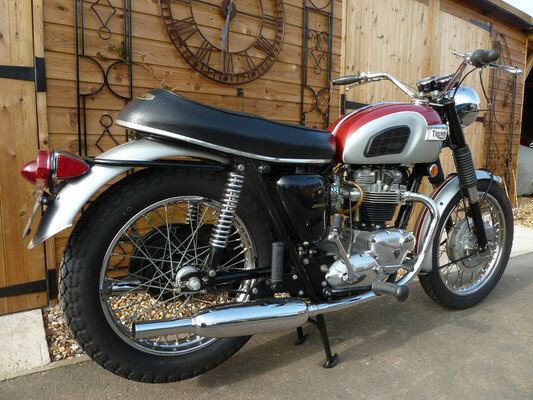 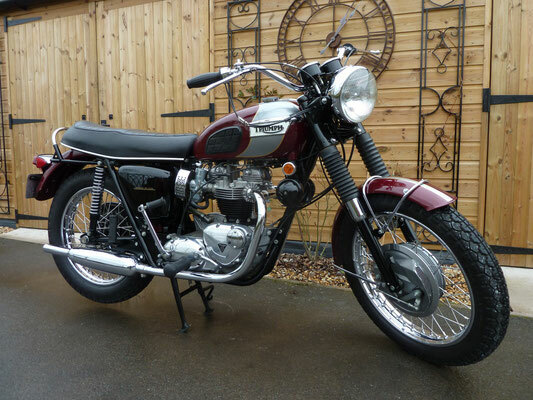 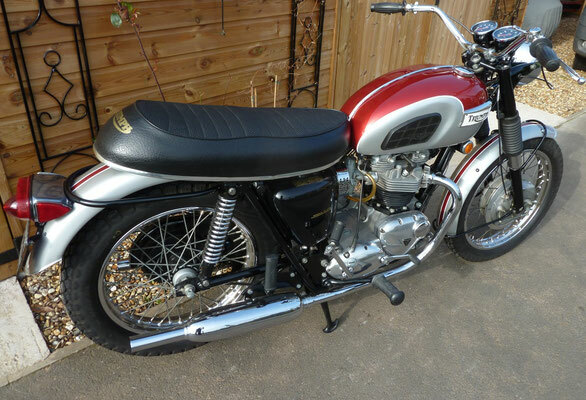 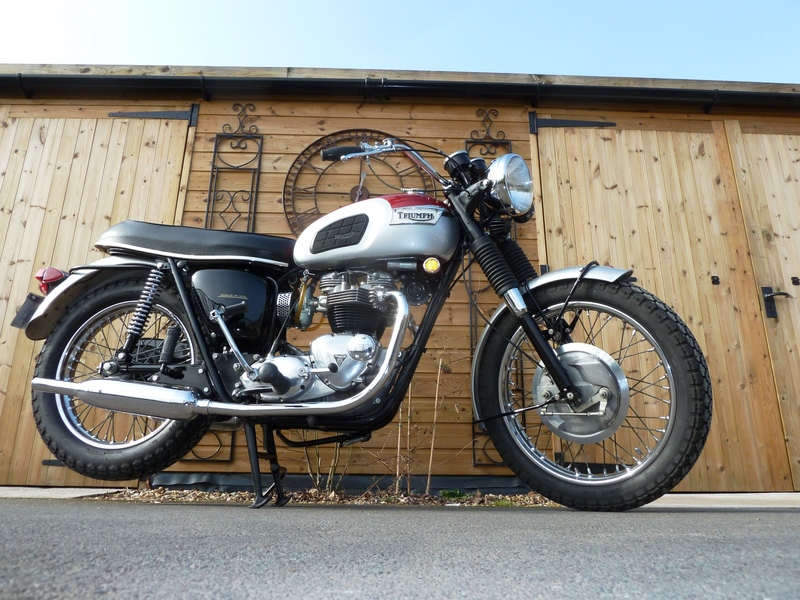 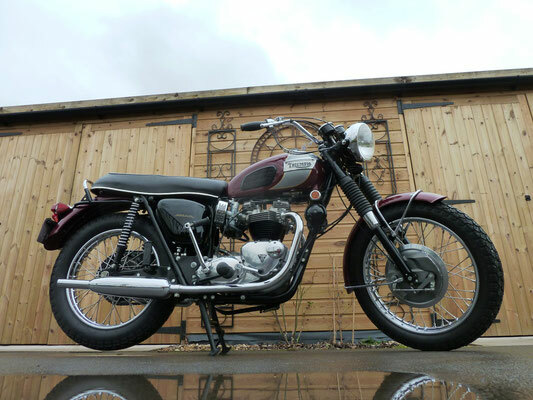 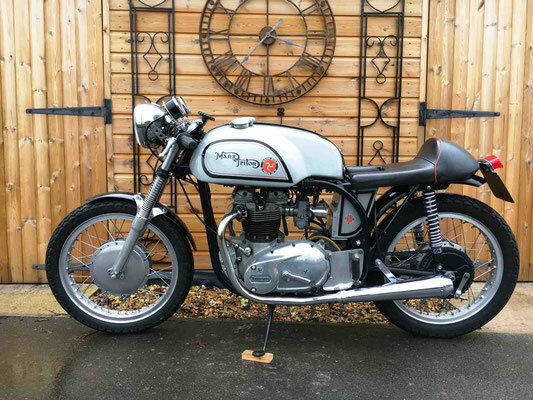 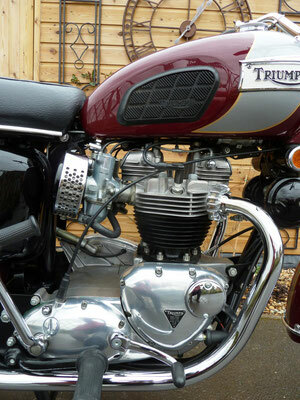 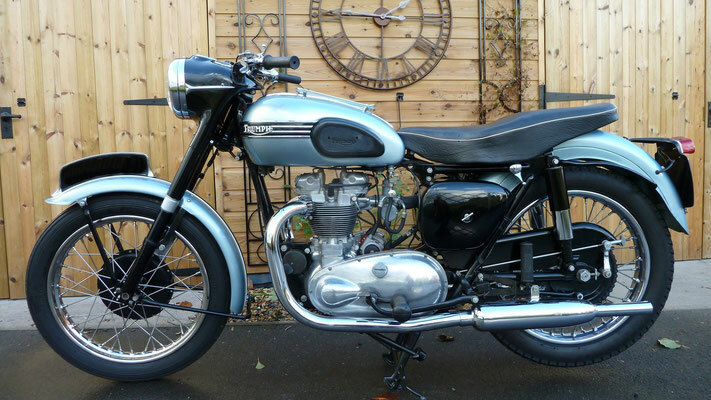 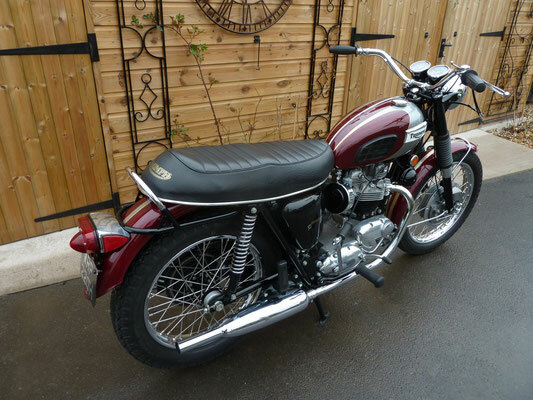 1959 The T120, a tuned double carburettor version of the T110, came to be called the Bonneville. As Triumph and other marques gained market share, Harley-Davidson became aware that their 1 litre-plus bikes were not as sporty as the modern rider would like, resulting in a shrinking share of the market. 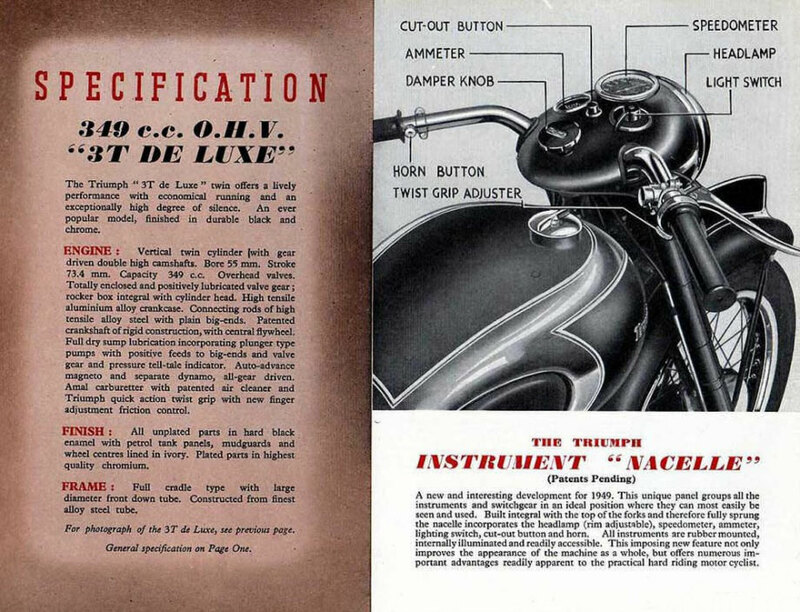 The Triumphs were models for a new, "small" Harley-Davidson as a result: the now-fabled Sportster, which started out as Harley's version of a Triumph Bonneville. 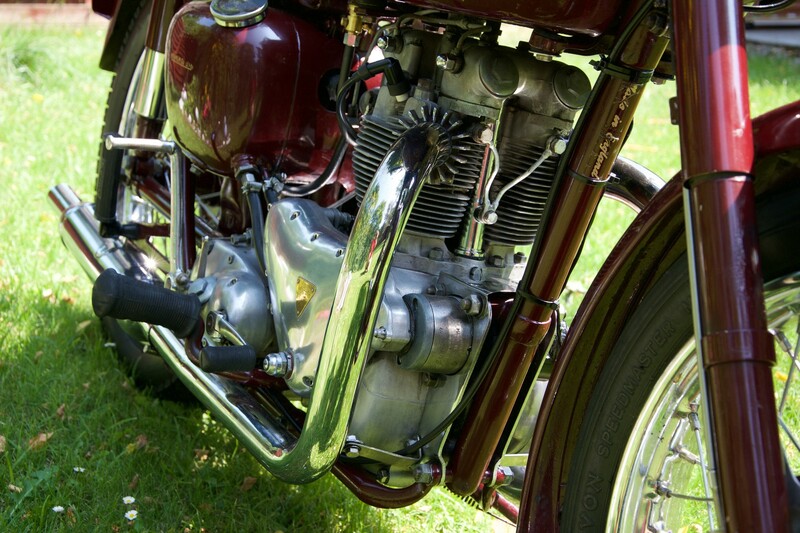 With its anachronistic V-twin, the Sportster was no match for the Bonneville, but it proved a solid competitor in US sales and eventually also in longevity. 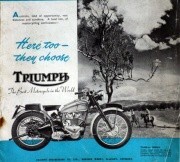 In the 1960s, despite internal opposition from those who felt that it would dilute the macho image of the brand, Triumph produced two scooters; the Triumph Tina, a small and low performance 2 stroke scooter of around 100 cc with automatic clutch and a handlebar carry basket, and the Triumph Tigress, a more powerful scooter available with either a 175cc 2 stroke single or a 250cc 4 stroke twin engine for the enthusiast. 1961 The Triumph Engineering Co was a subsidiary of BSA with HQ at Meriden Works, Allesley, Coventry. 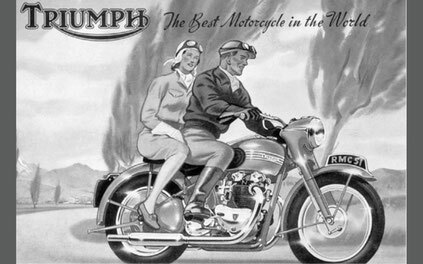 Manufacturers of Triumph motorcycles and Tigress scooters. 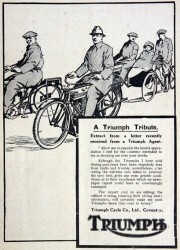 Employs 1,400 persons. 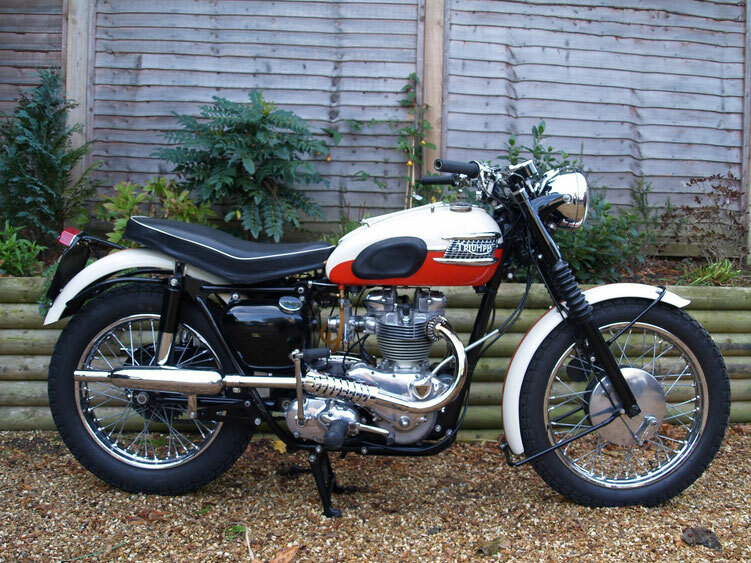 1962 The last year of the "pre-unit" models, Triumph used a frame with twin front downtubes, but returned to a traditional Triumph single front downtube for the unit construction models that followed. 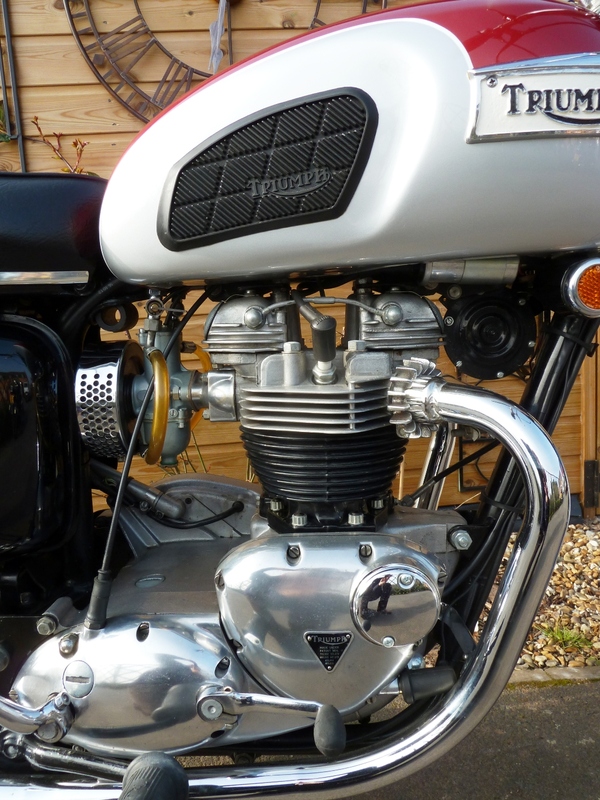 1963 All Triumph engines were of unit construction. 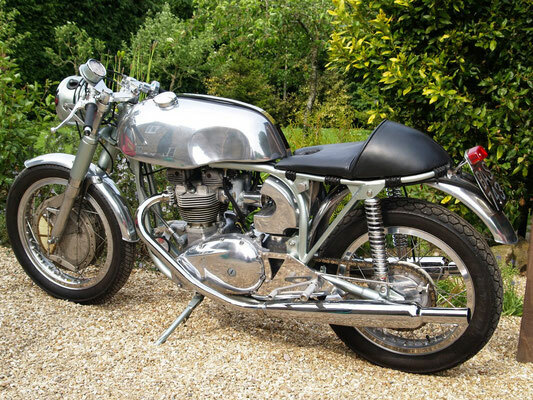 In 1969 Malcolm Uphill, riding a Bonneville, won the Isle of Man Production TT with a race average of 99.99 mph (160.9 km/h) per lap, and recorded the first ever over 100 mph (160 km/h) lap by a production motorcycle 100.37 mph. 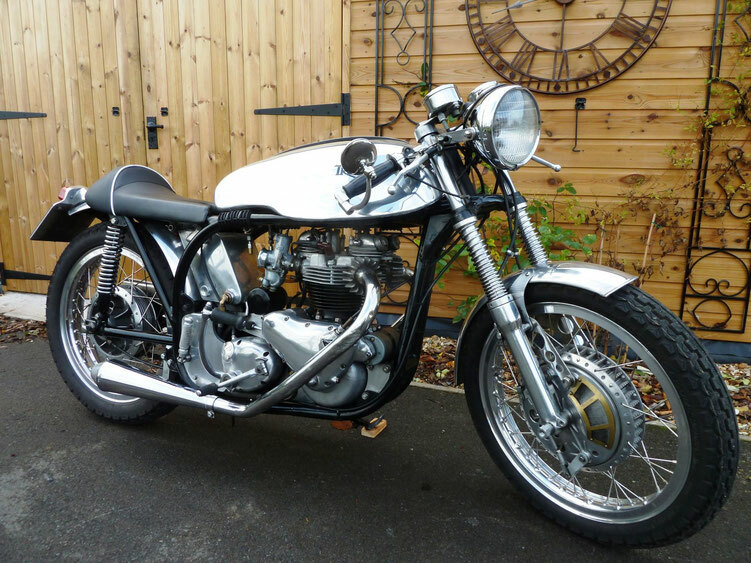 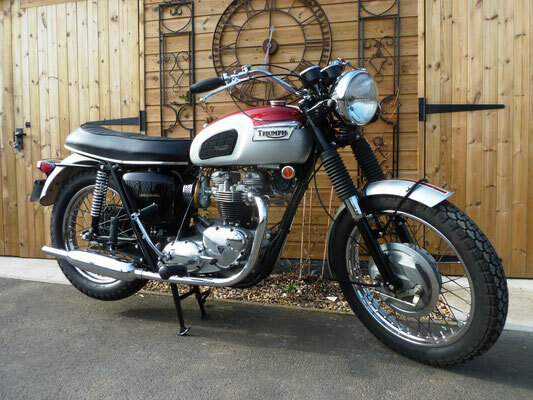 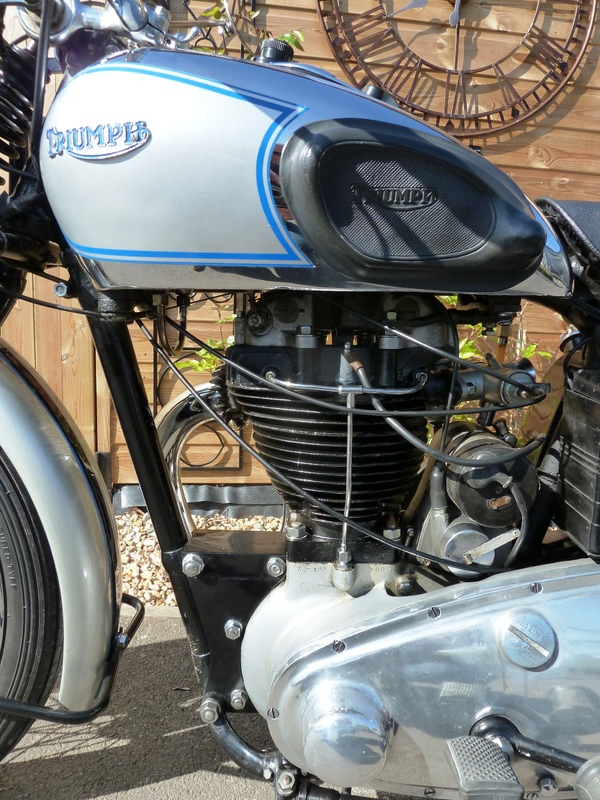 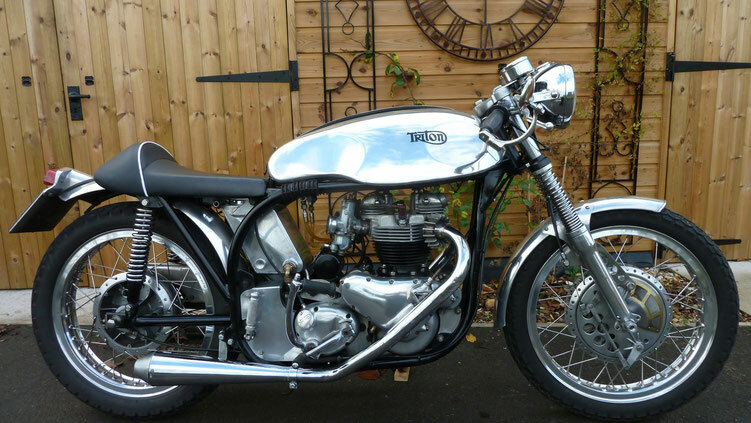 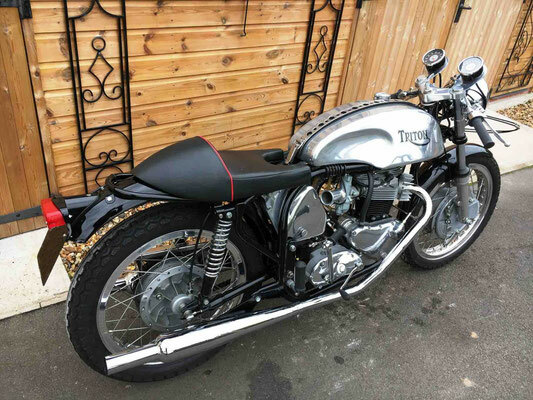 For many Triumph fans, the 1969 Bonneville was the best Triumph ever. 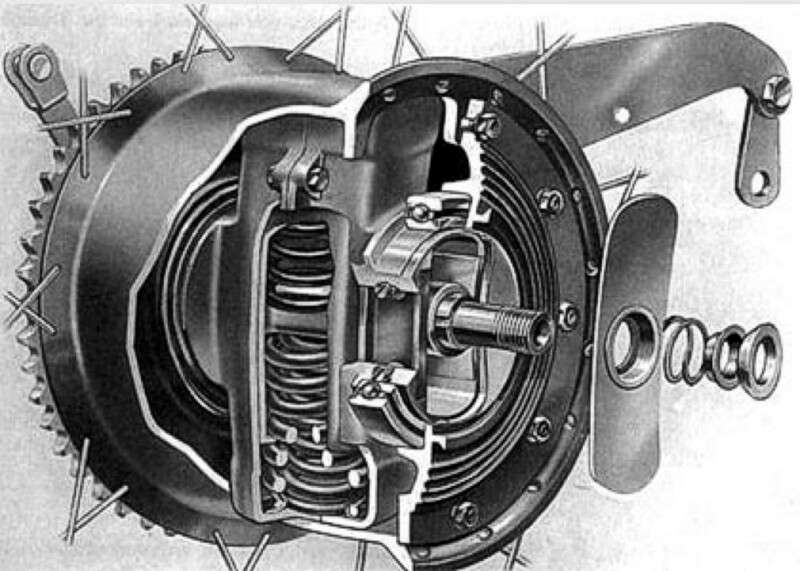 In 1971 a five speed gearbox was introduced. 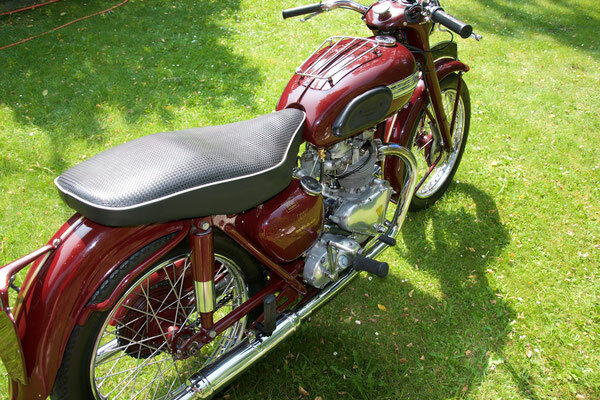 The parent BSA group made losses of 8.5 million pounds in 1971, 3 million for BSA motorcycles alone. 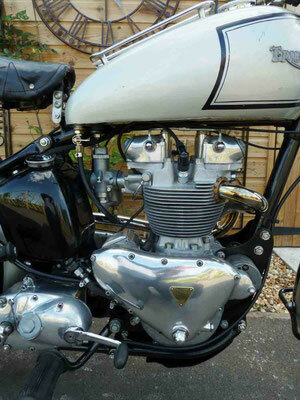 The British government became involved. 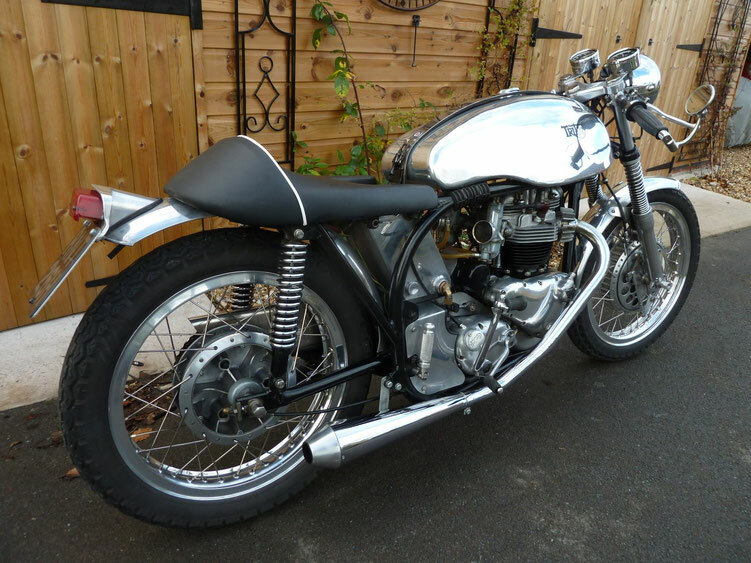 The company was sold to Manganese Bronze Holdings, which also owned Norton, AJS, Matchless, Francis-Barnett, James, Velocette and Villiers. 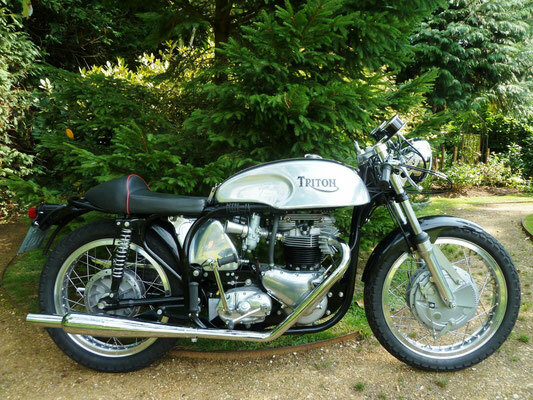 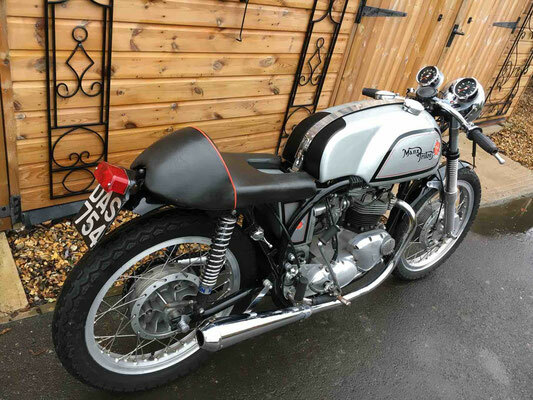 A new company called Norton-Villiers-Triumph, managed by Dennis Poore, emerged. When the BSA group collapsed under its debts, government help led to a merger with the Norton-Villiers subsidiary of Manganese Bronze Holdings. 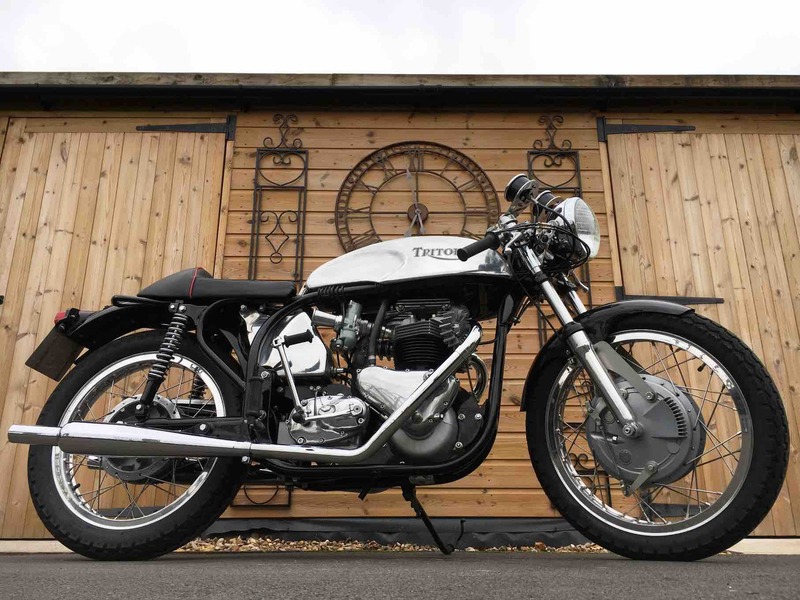 The three remaining brands to be produced by the company were combined to create the new group name of Norton-Villiers-Triumph (NVT). However, this restructuring would result in a number of closures and redundancies. 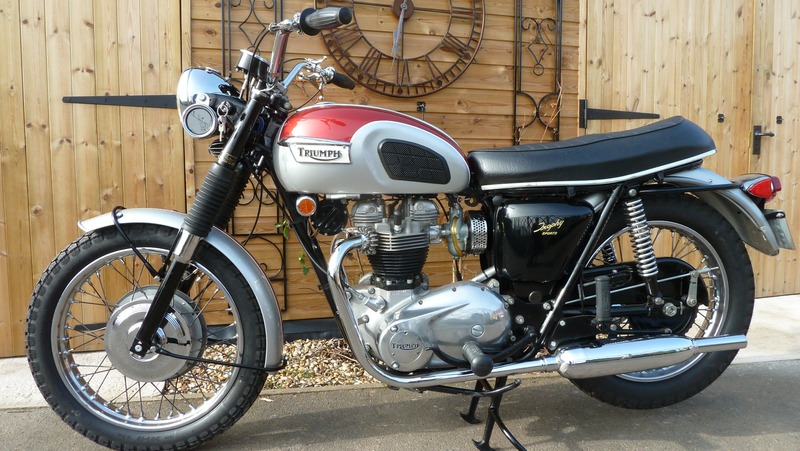 Without warning, in September 1973 NVT Group chairman Dennis Poore announced the closure of Meriden works effective February, 1974. 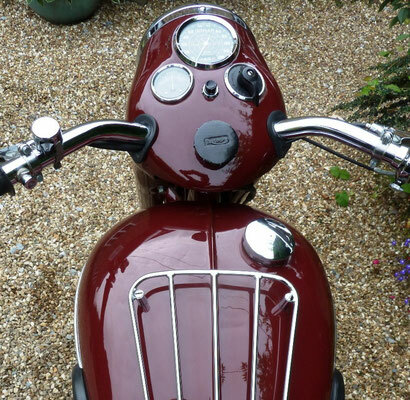 Of 4,500 employees, 3,000 were made redundant. Faced with unemployment and having their products handed over to a rival firm, the workers at the Meriden factory demonstrated against a move to Small Heath, Birmingham, the BSA site and staged a sit-in for two years. 1974 As scheduled, Trident production moved to the BSA factory in Small Heath, but as BSA used non-craft labour in manufacturing, quality fell dramatically. 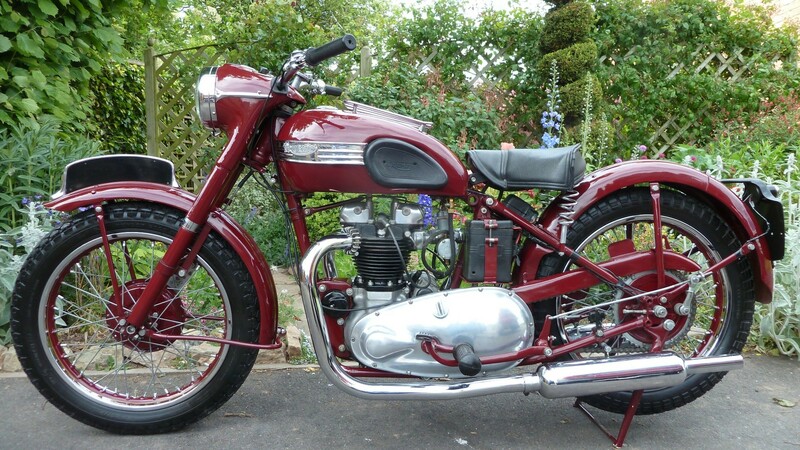 In October 1974 the Labour Government announced the formation of the Meriden Cooperative under Tony Benn, with a loan of £5 million pounds - on the condition that NVT retained ownership of the name, and continued the sales and marketing of the machines. 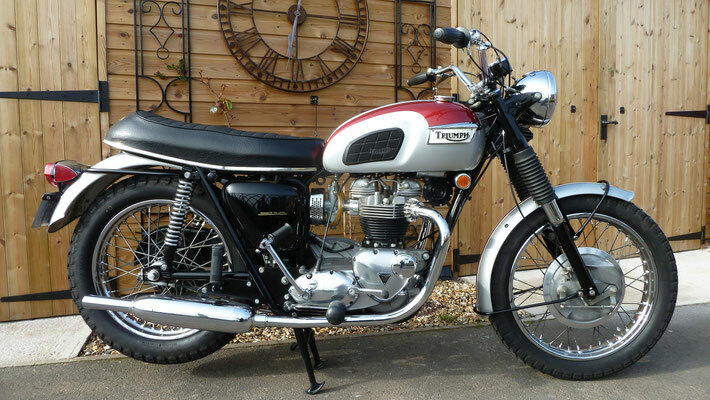 1975 The cooperative resumed production in March 1975, but dropped production of the lightweight T120, to concentrate on the 750cc twin machines, the Bonneville and the Tiger, primarily for the USA market. 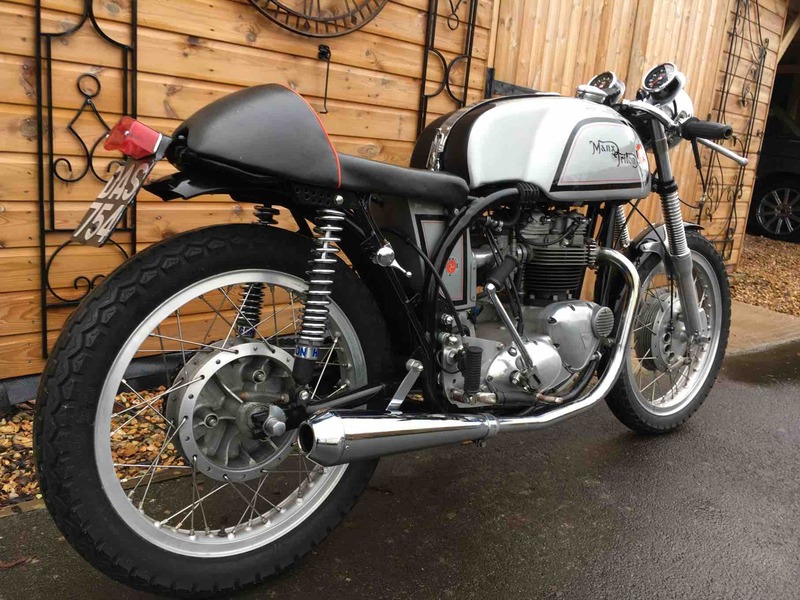 The cooperative needed additional cash, and agreed a deal with Lord Weinstock's GEC company to sell 2,000 Bonnevilles for £1,000,000 together with consultation on setting up a sales force. 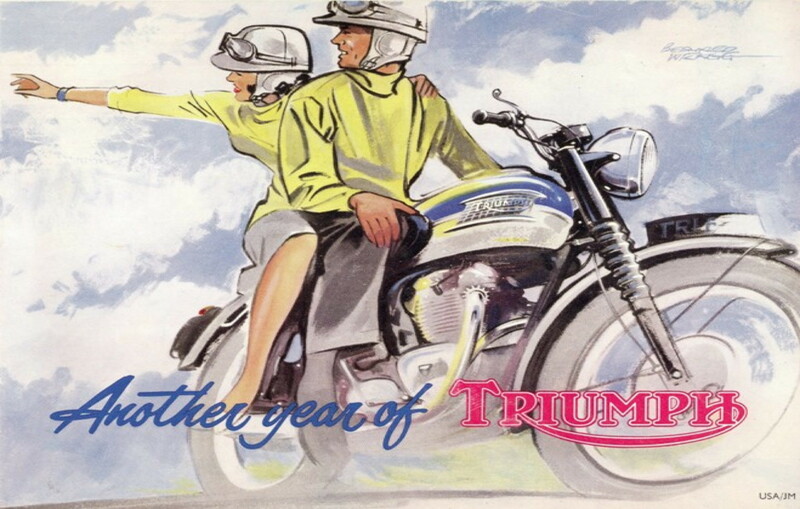 In 1983 Triumph went into receivership. 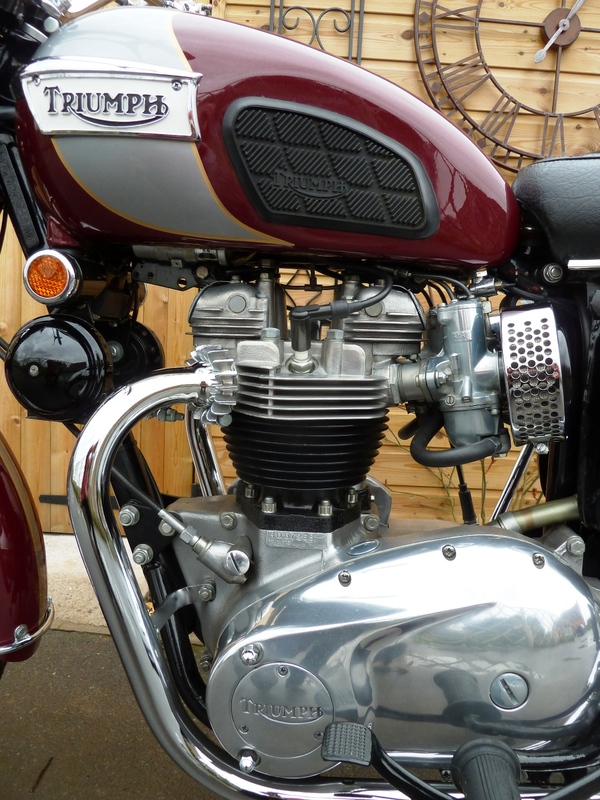 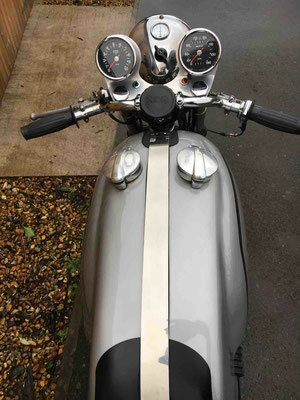 John Bloor, a 53-year-old plasterer turned wealthy English property developer and builder, who had little interest in motorcycles, had for some time wanted to start up a manufacturing business. 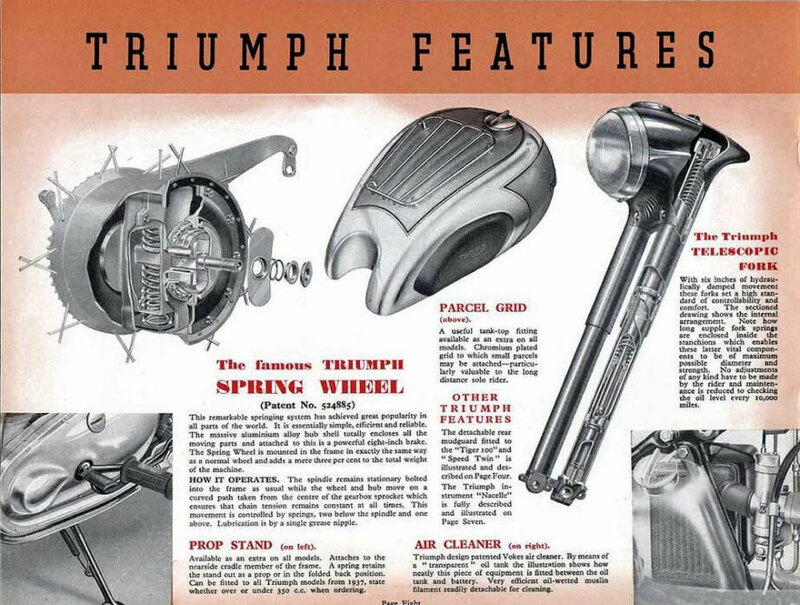 Bloor became interested in Triumph, and particularly its still highly regarded brand name. 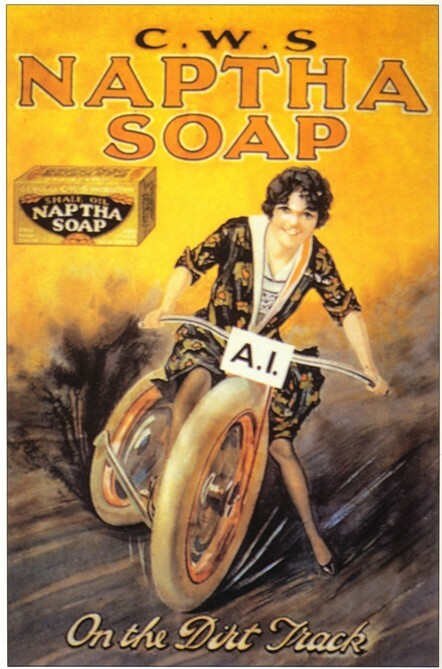 He bought the name and manufacturing rights from the Official Receiver. Enfield India lost, bidding £55,000 pounds to the Official Receiver. 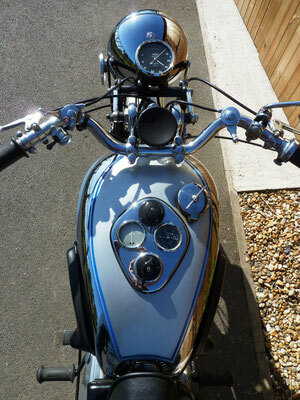 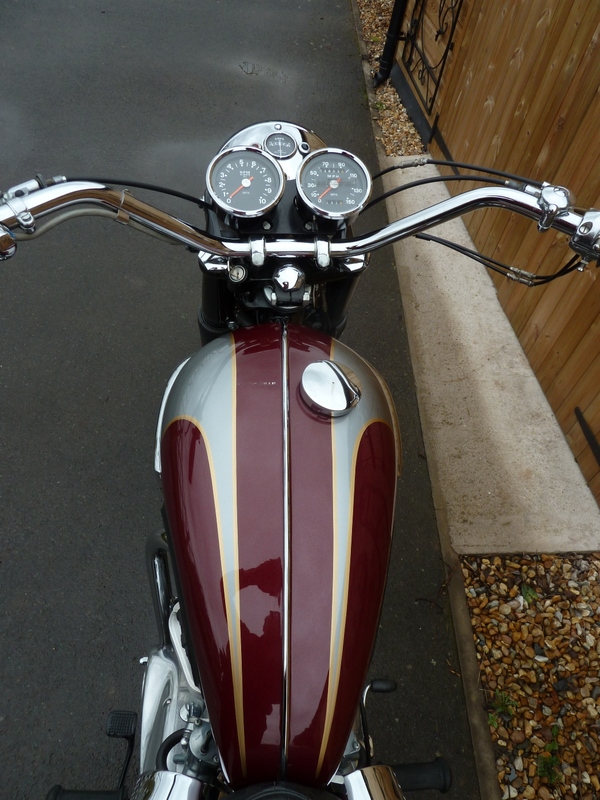 A new company Triumph Motorcycles Ltd (initially Bonneville Coventry Ltd), was formed. 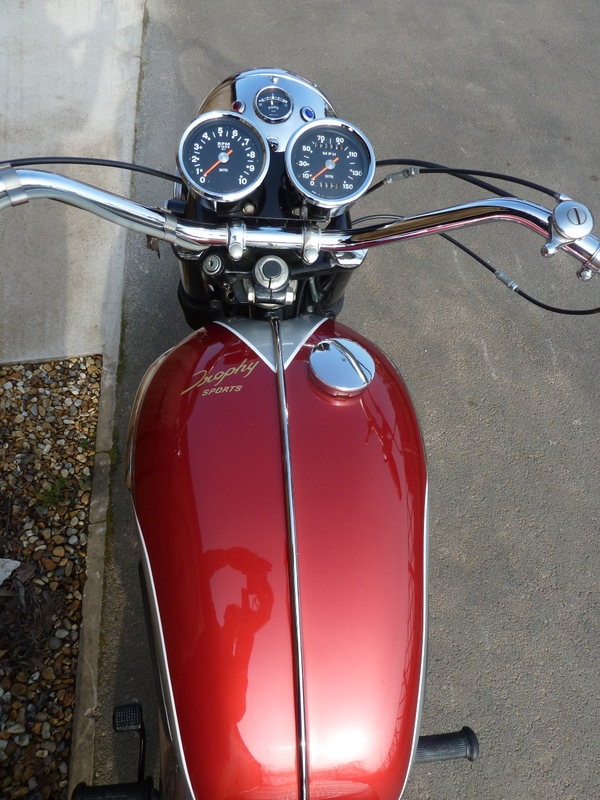 In 1988 Bloor funded the building of a new factory in Hinckley, Leicestershire and put between £70m and £100m into the company between purchase of the brand and break even in 2000. 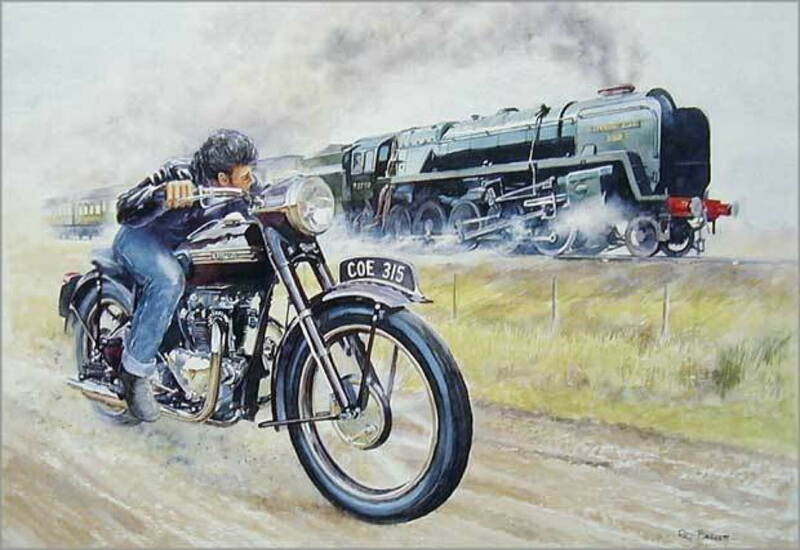 Many thanks for visit my web Page . 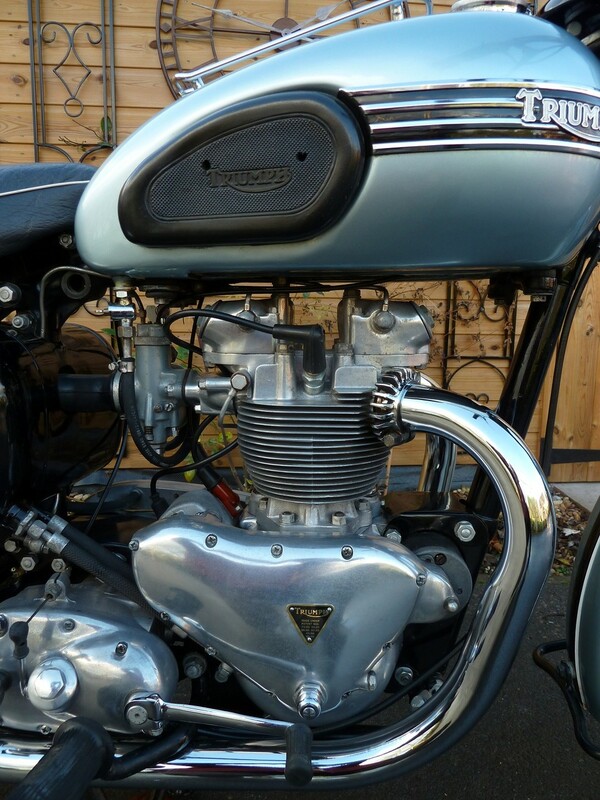 It is not my intention to deliberately infringe the copyright of any other person or organisation. 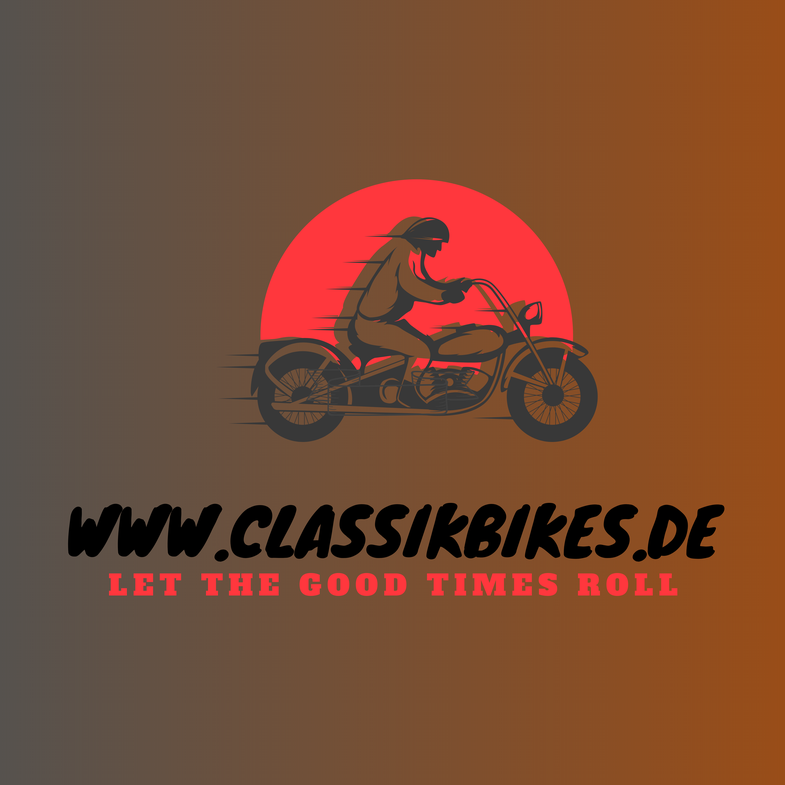 If you have any concerns regarding the content of this publication, please use the 'Gästebuch-Contact Me' link on my website and I will immediately investigate the issue and take whatever action is necessary in order to rectify the matter. 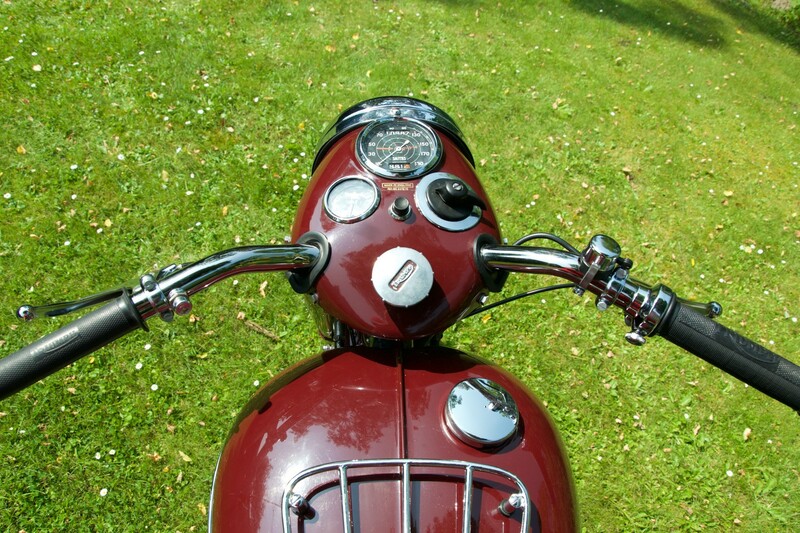 This is a non-profit making website. 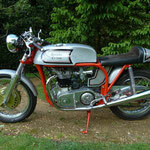 My only concern is to preserve very important information for classic motorcycle enthusiasts and future generations. 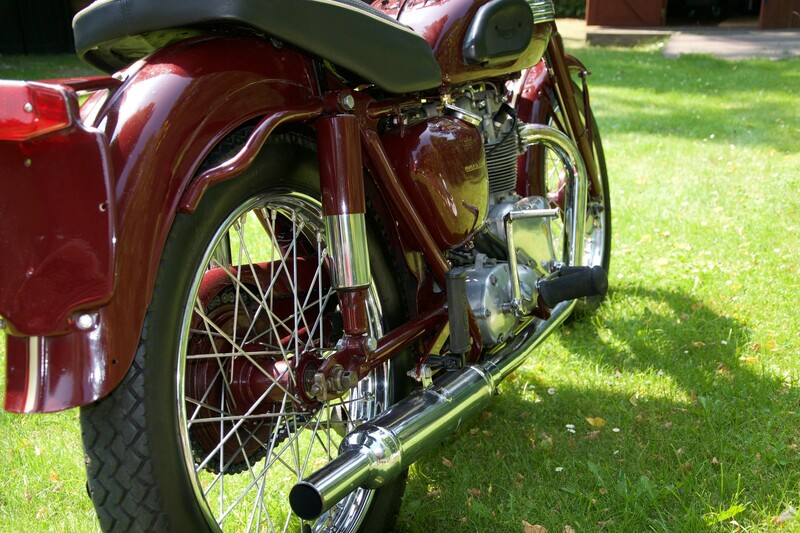 If you are using any of this information then all copyright issues are your total responsibility.